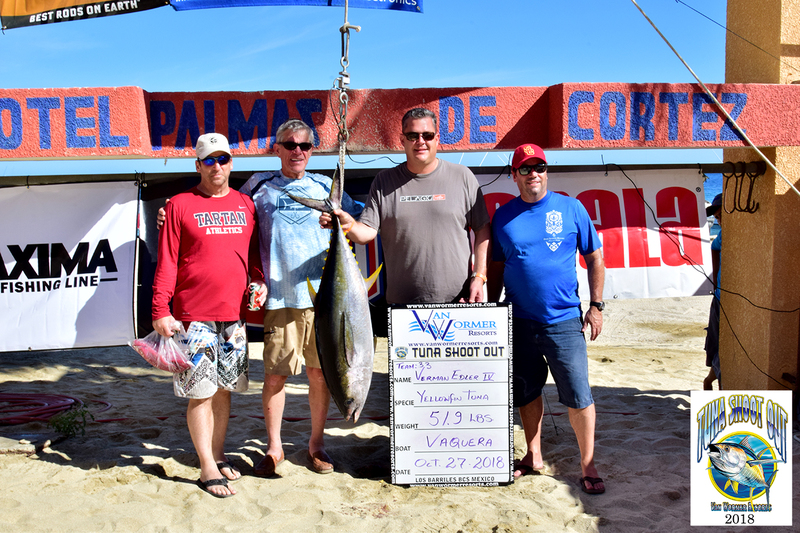 This is the 7th Annual Van Wormer Resort Tuna Shoot Out. 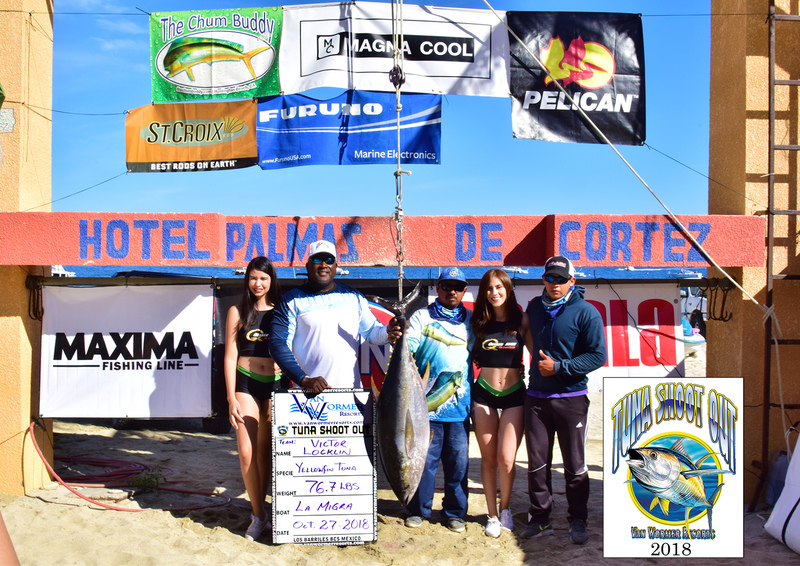 We will have registration for the tournament at BajaMark in La Paz on Tuesday, Ocotber 15th and at Puerto Los Cabos Marina on Thurday, October 17th. 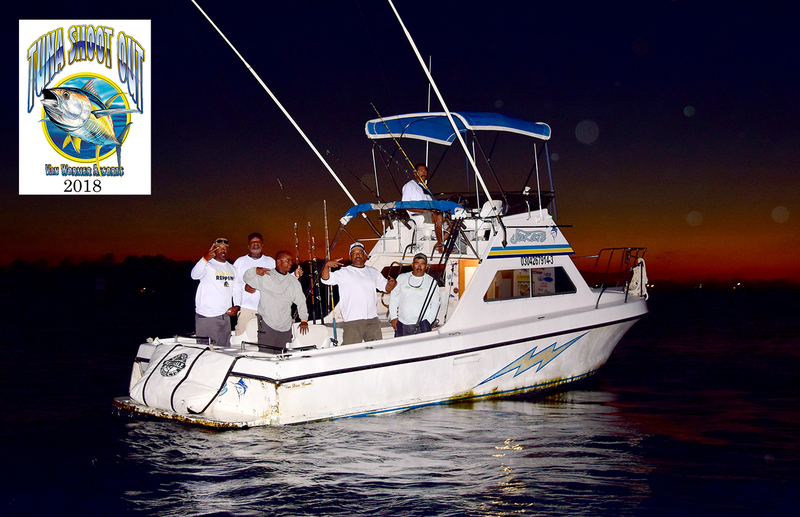 Team can register for the Tuna Shoot Out on these dates in order to avoid having to travel to the East Cape to register. 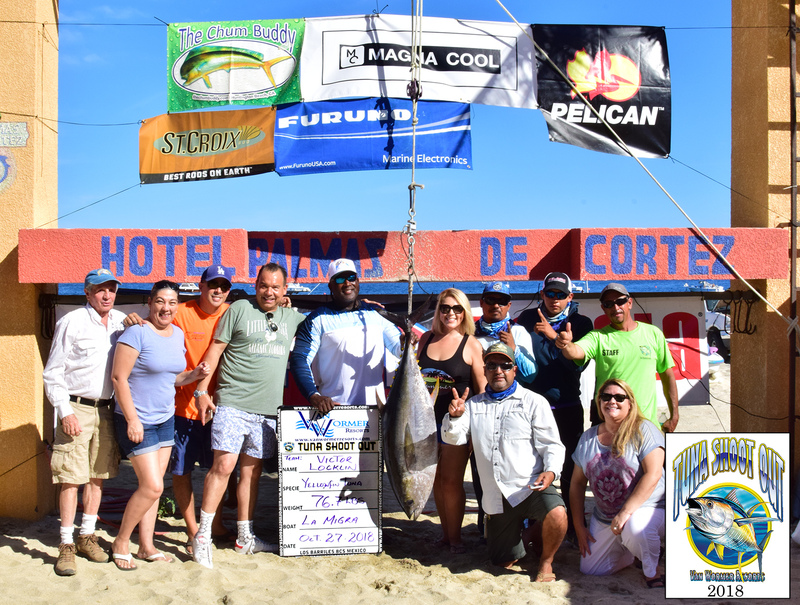 Registration in the East Cape will be on Friday, October 25th at hotel Palmas De Cortez from 4pm-8pm in the conference room. 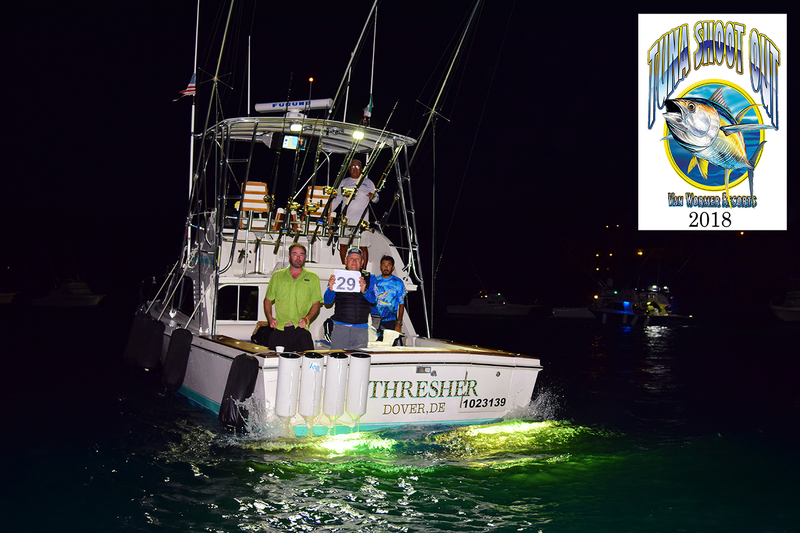 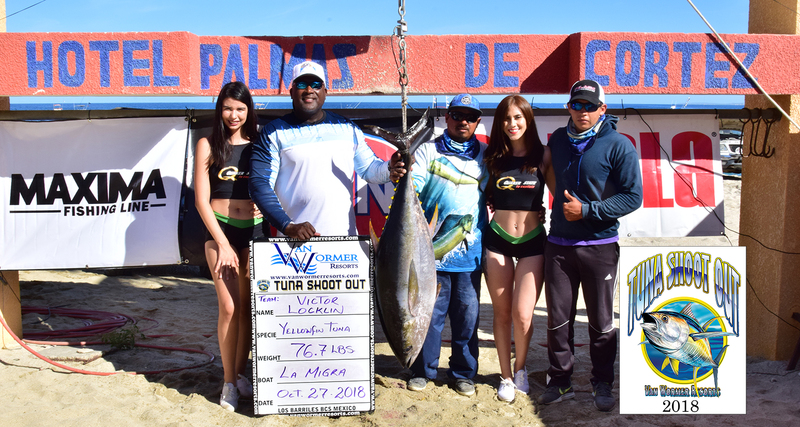 The tournament format will be the same as the Dorado Shoot Out except this time its the Biggest Yellowfin Tuna that will win. 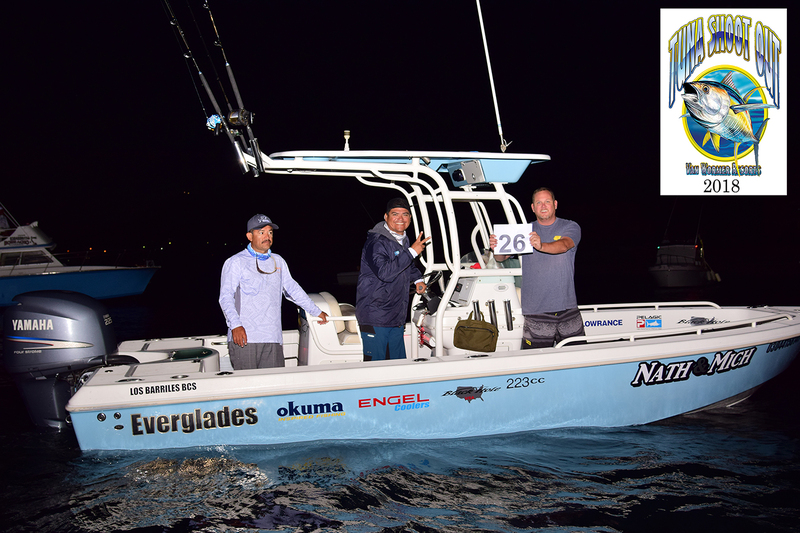 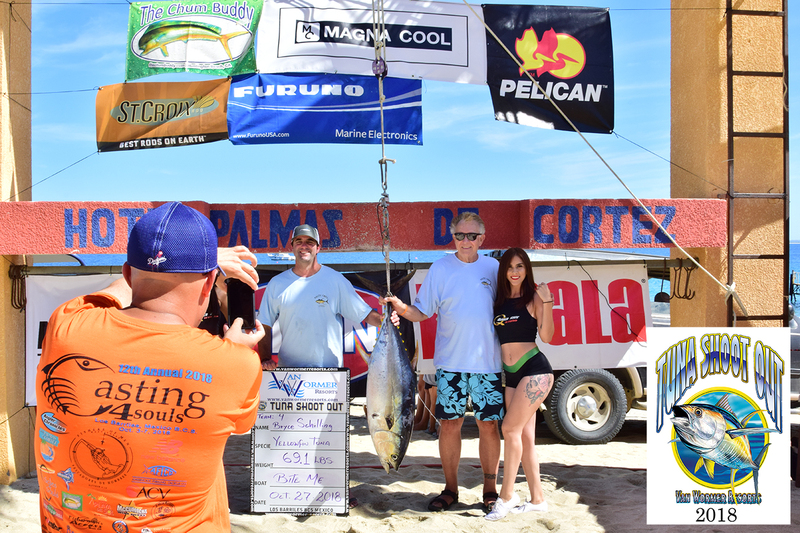 The largest tuna caught on October 26, 2019 will win approximately $35,000 (based on 100 teams entering). 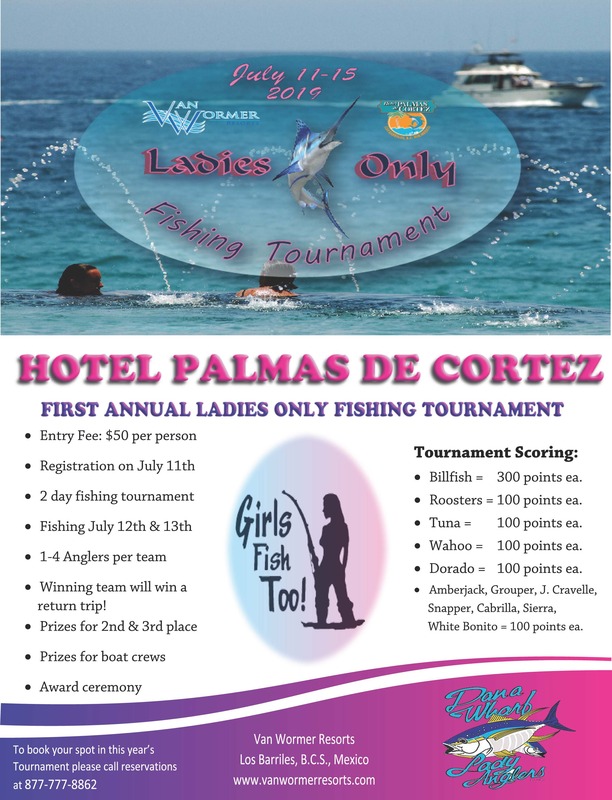 This is a one day tournament, so anyone can win. 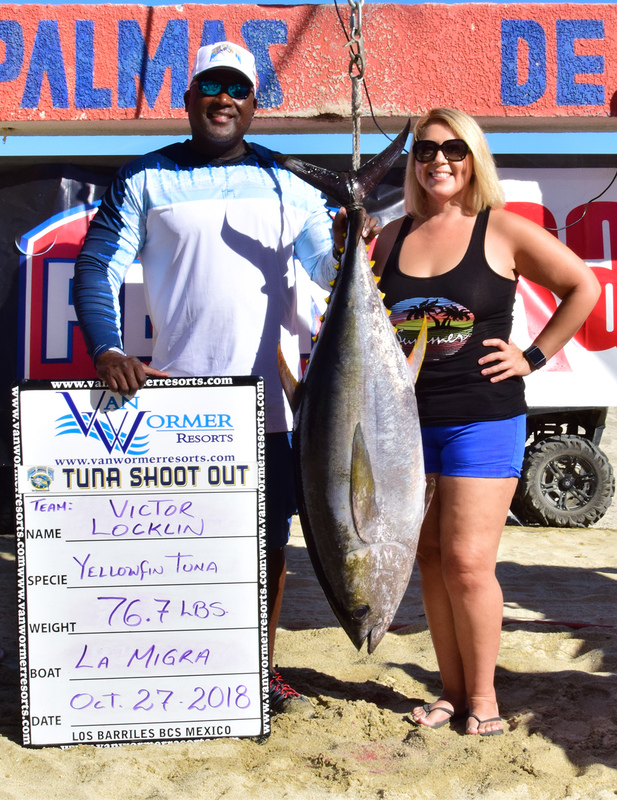 If you are entered in the tournament and you catch the heaviest Yellowfin Tuna on October 26, 2019 you will walk away with the cash. 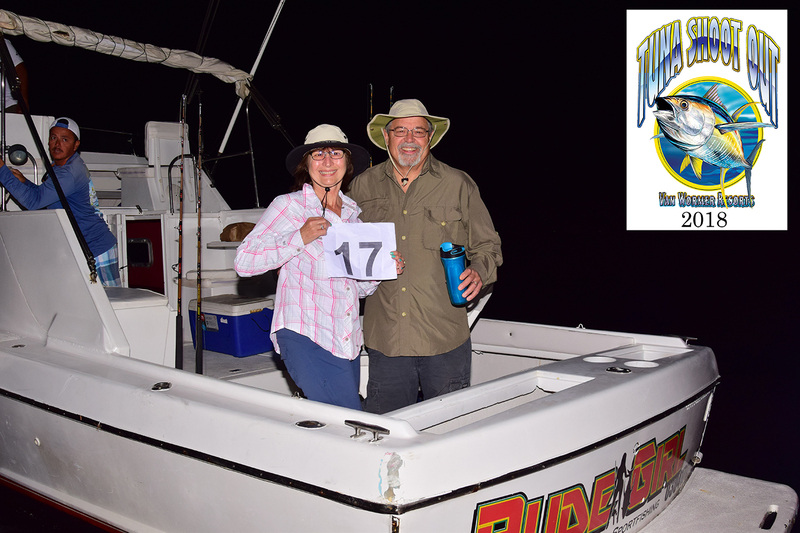 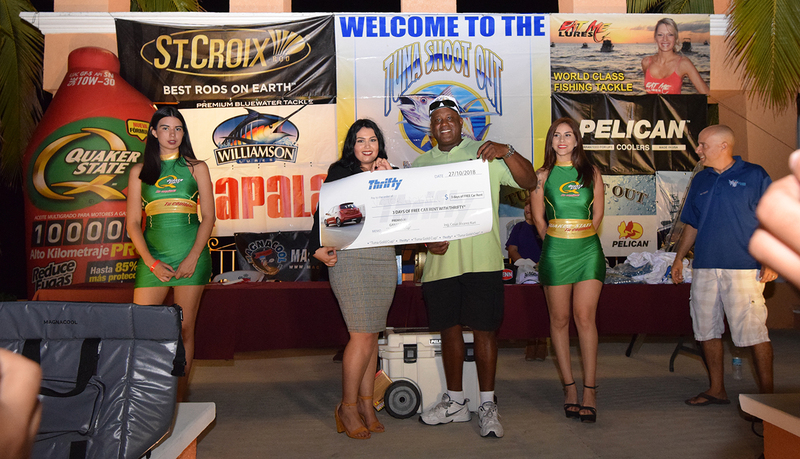 There will be over $100,000 in cash and prizes up for grabs including great raffle prizes, return trips including fishing and much more. 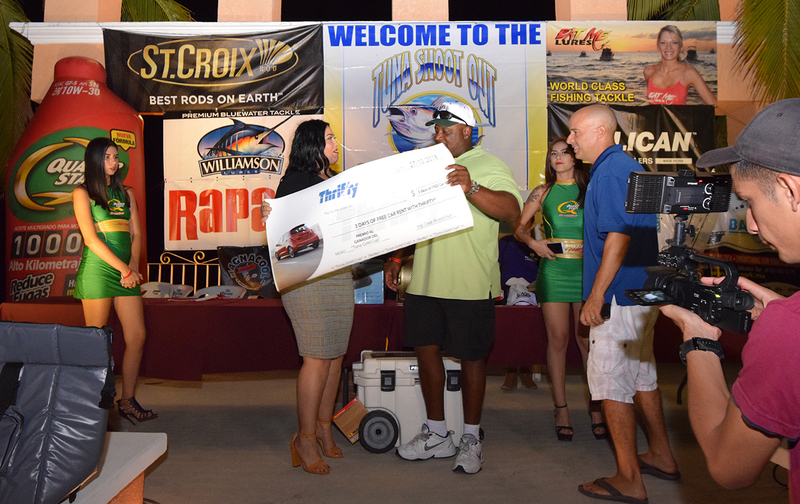 Entry fee is only $500 per team and includes dinner at the awards ceremony. 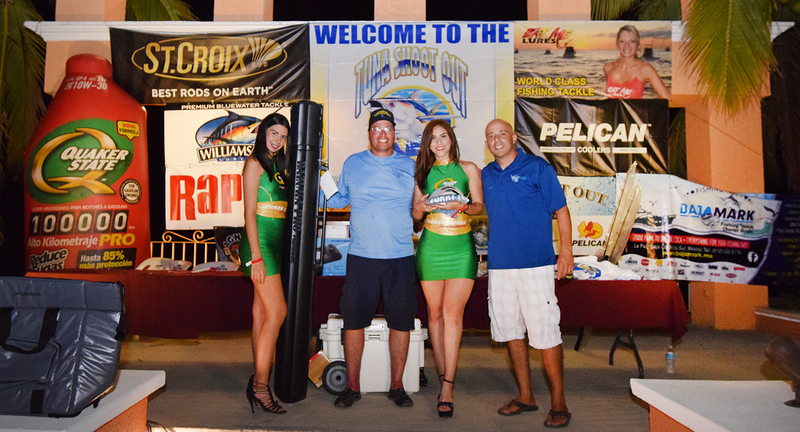 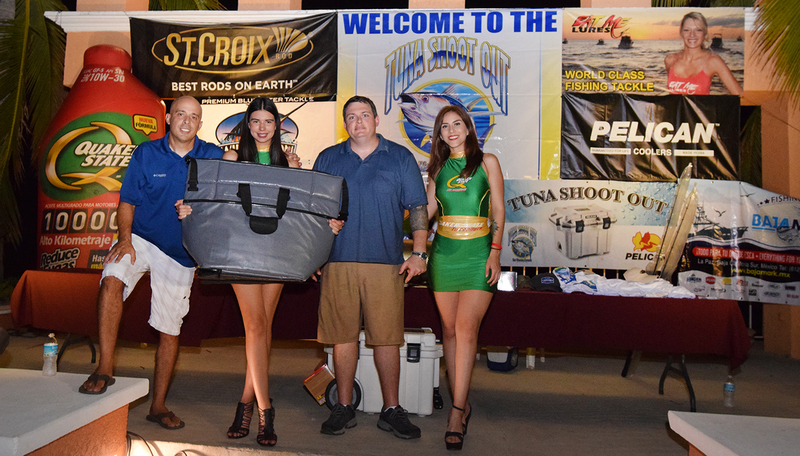 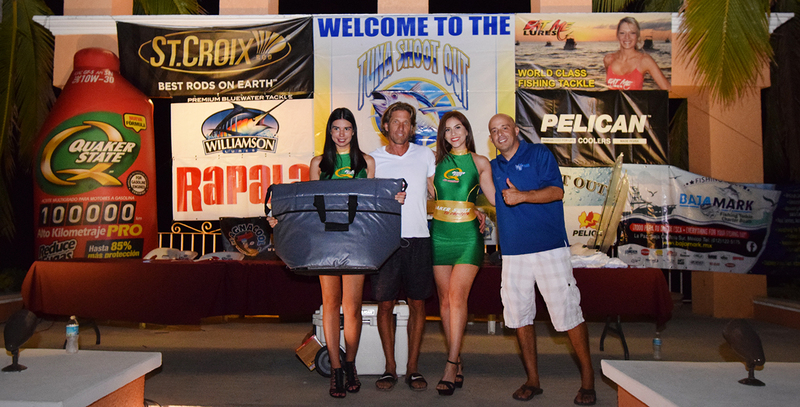 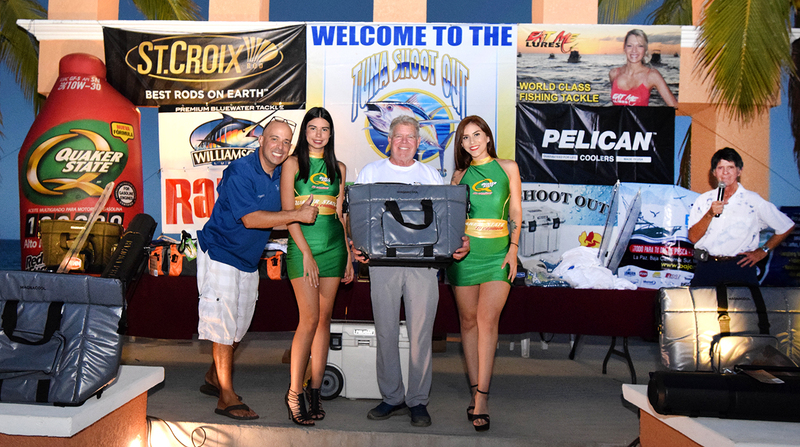 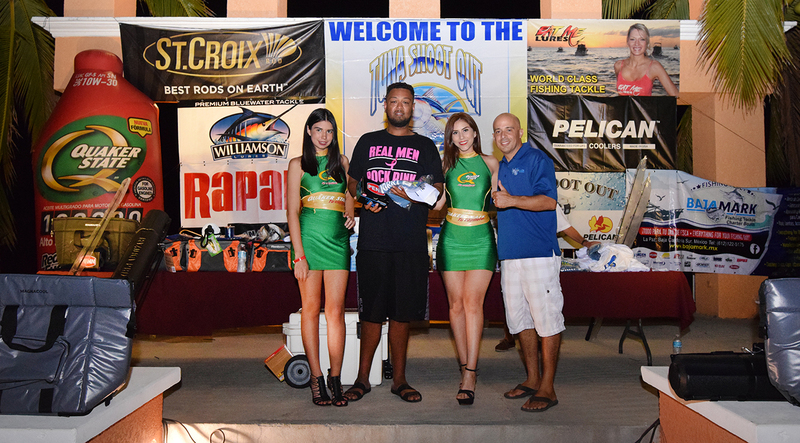 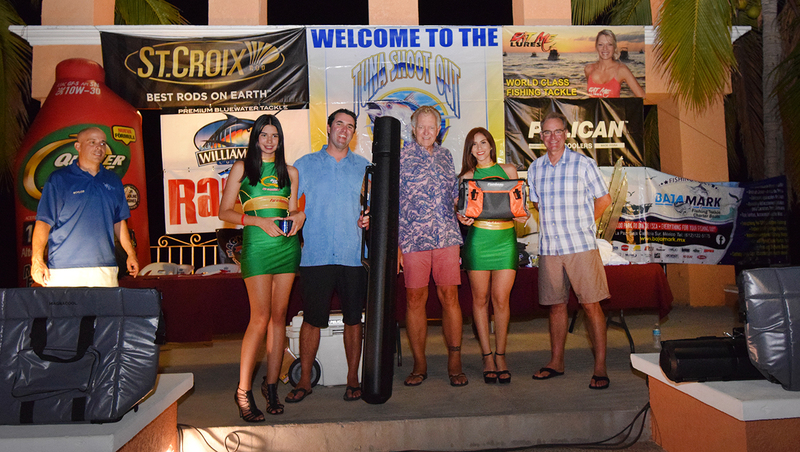 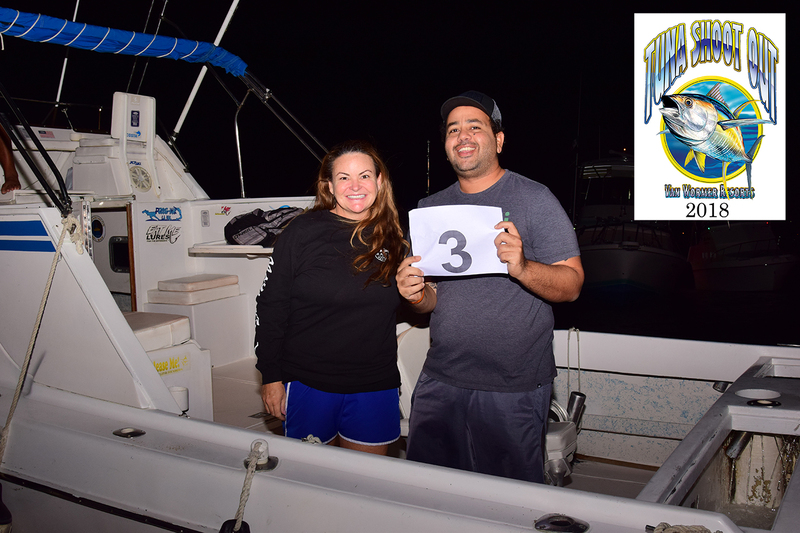 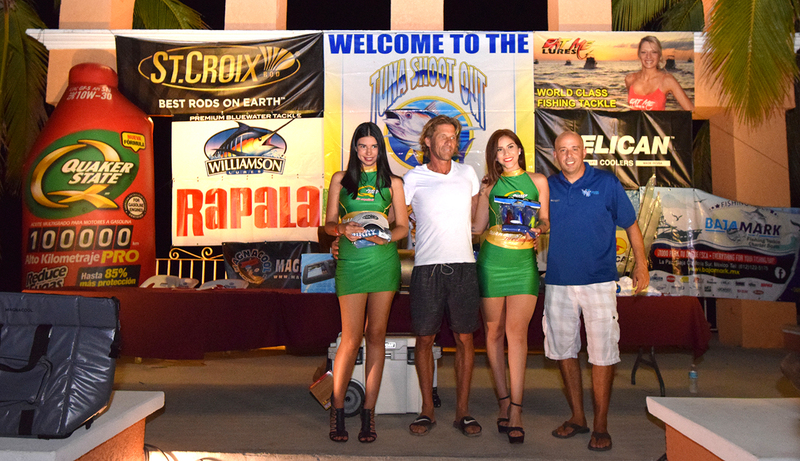 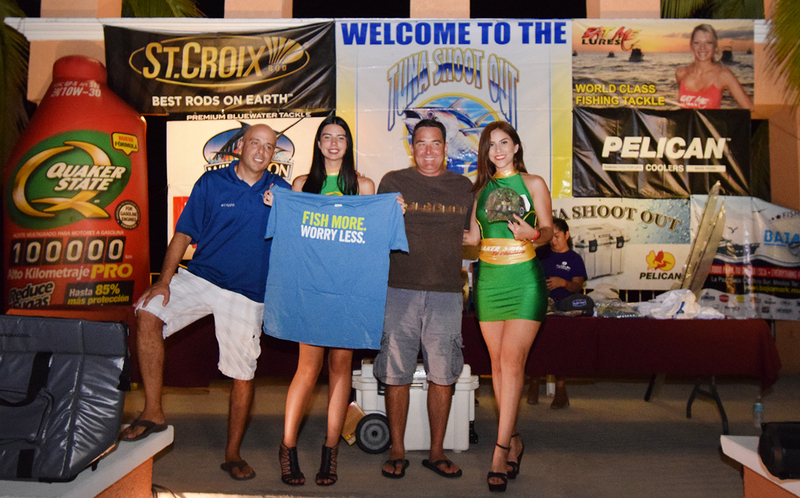 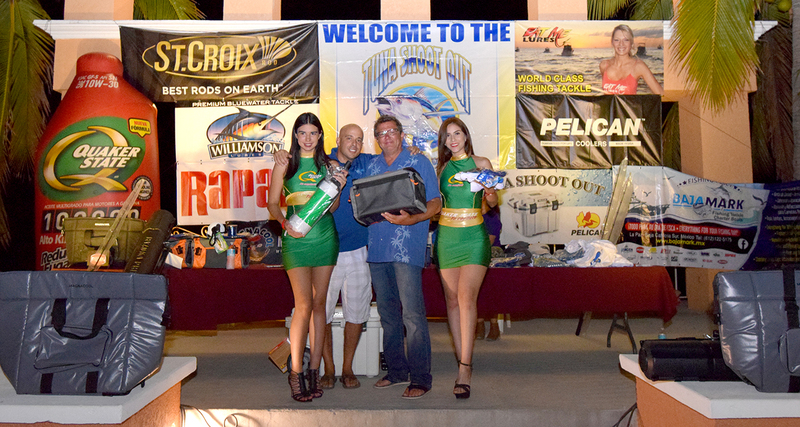 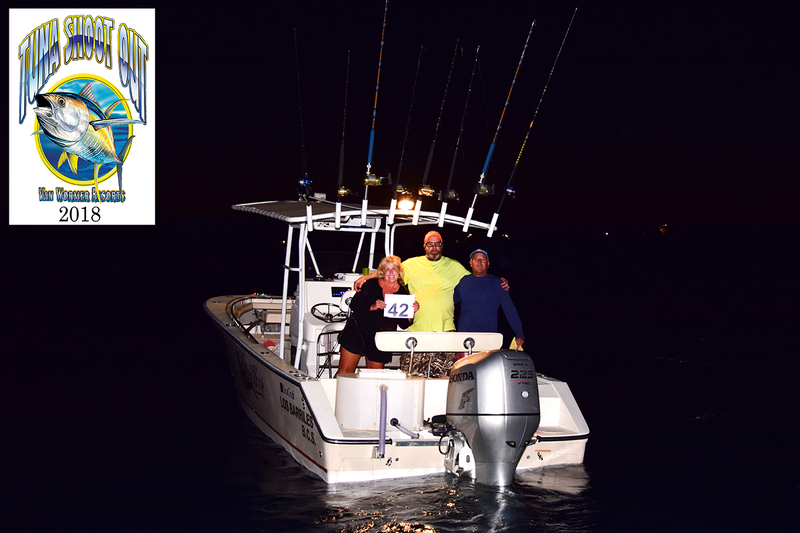 Terrific prizes for the top three teams that catch the largest tuna Optional Cash Jackpots of $300, $500 and $1,000 and $2,000 jackpot with an 85% return rate. 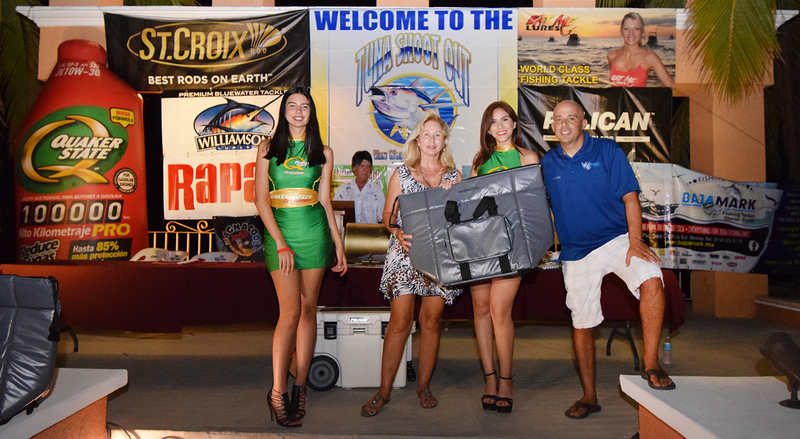 Great drawing prizes of tackle, lures, rods, tackle boxes, gift certificates and return trips to Van Wormer Resorts. 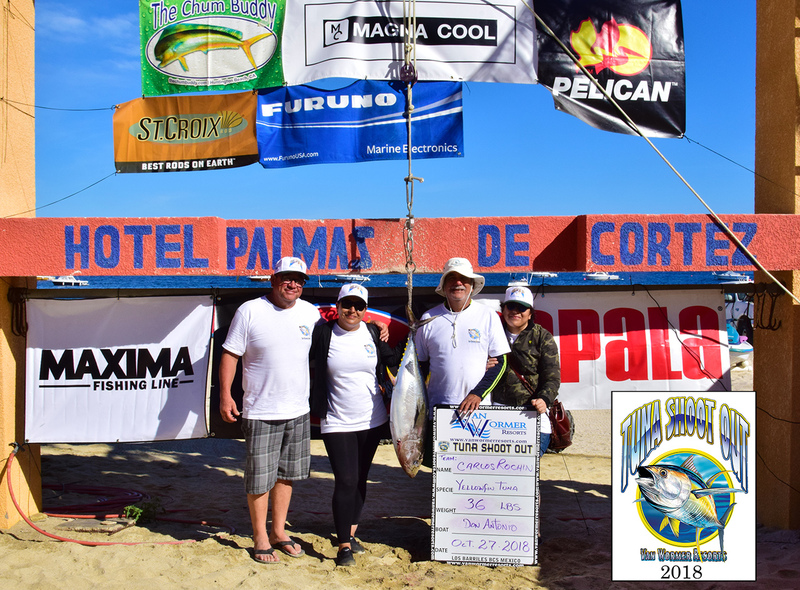 All participants will receive a free tournament shirt and hat Awards dinner will be held at Hotel Palmas De Cortez on Saturday, October 28th at 7pm. 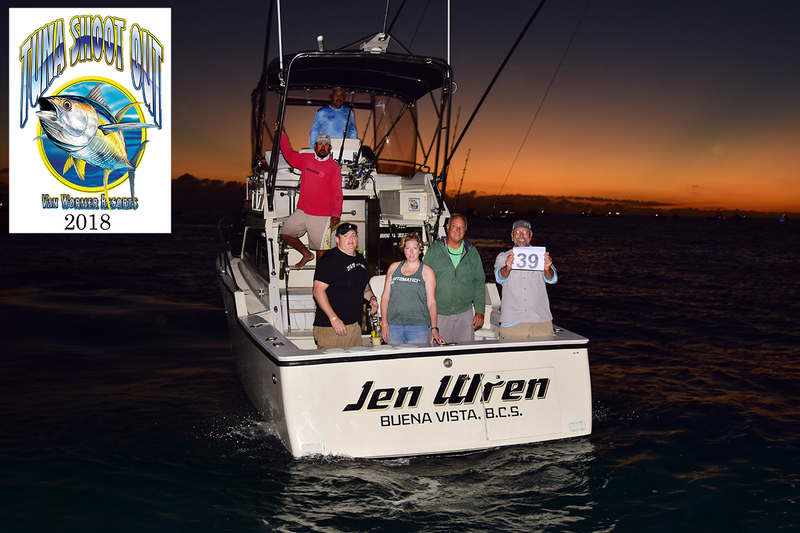 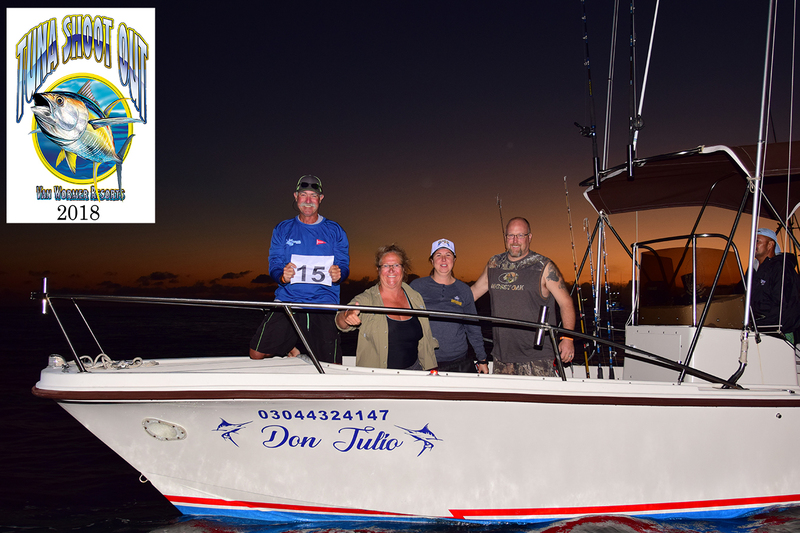 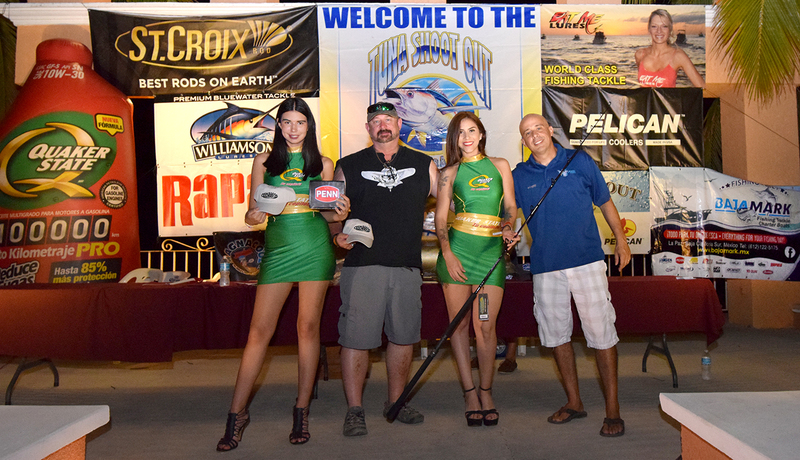 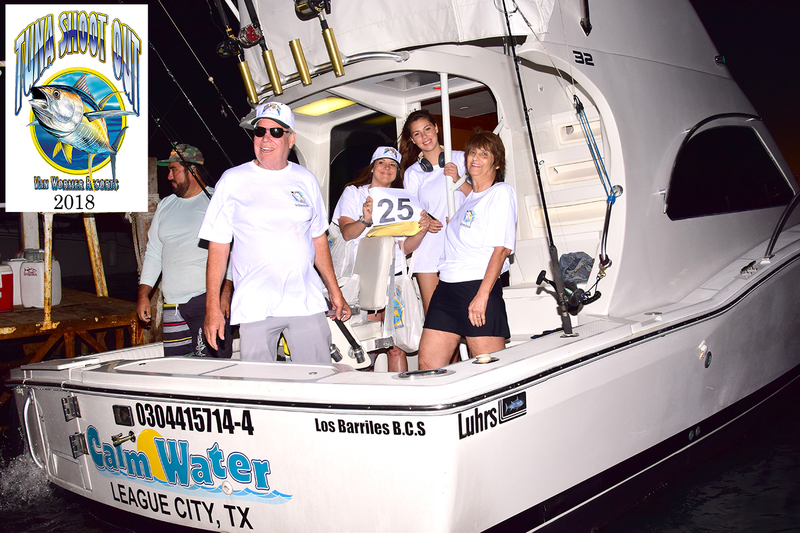 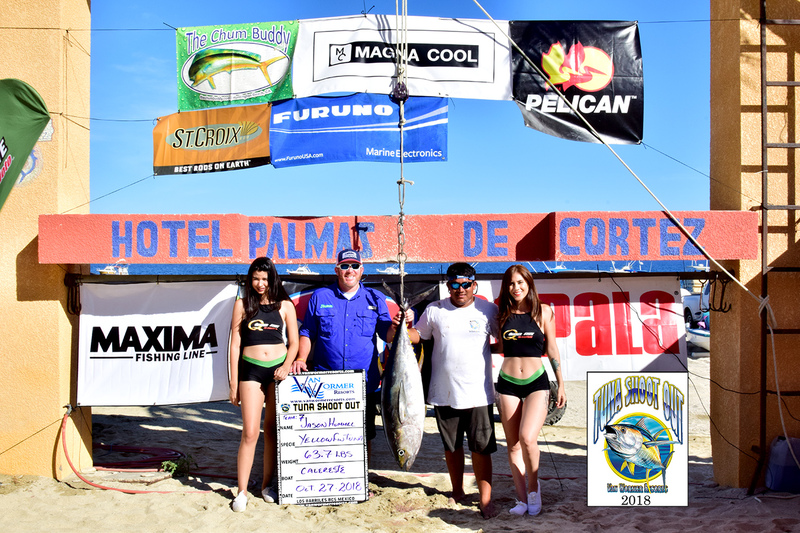 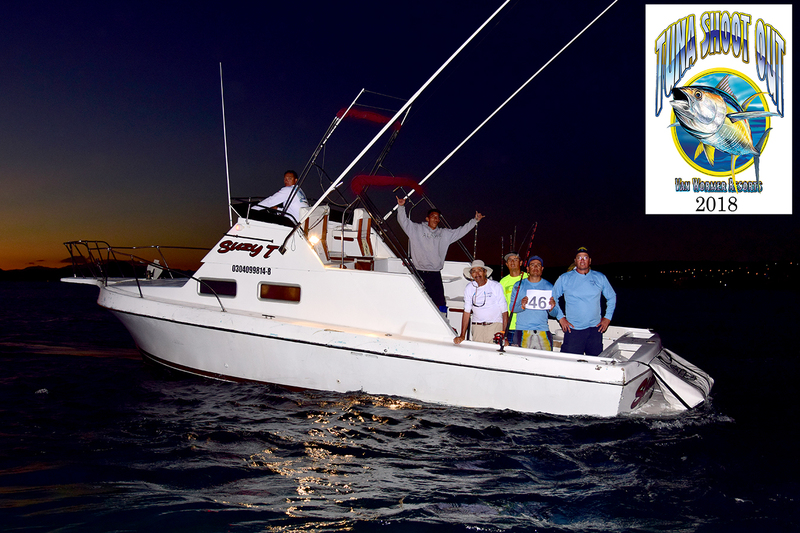 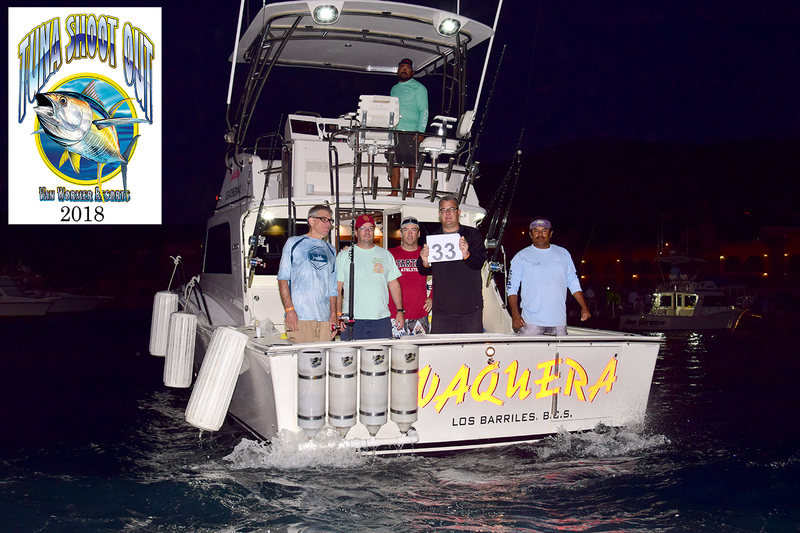 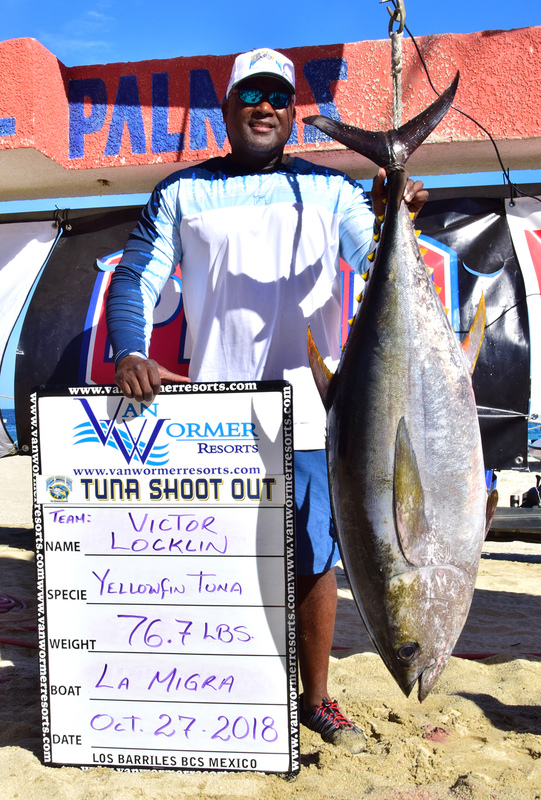 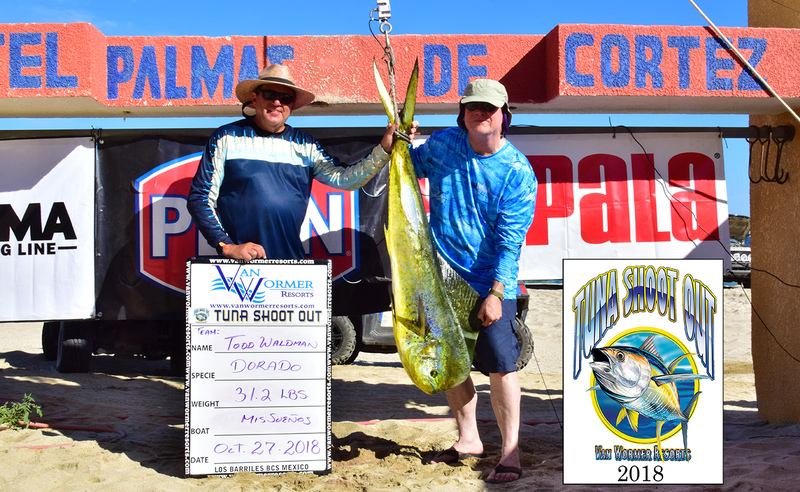 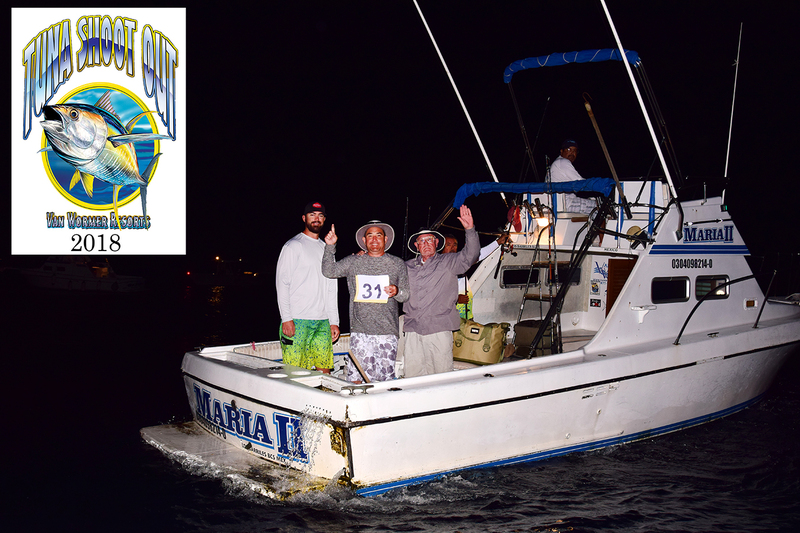 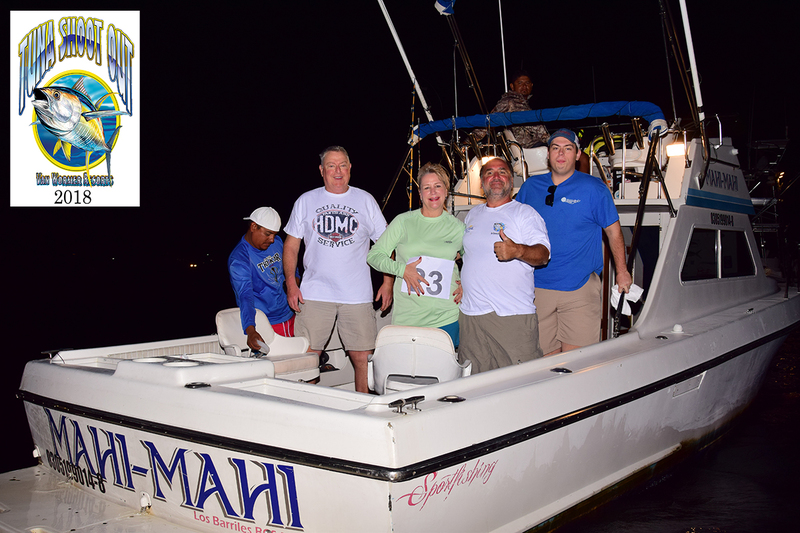 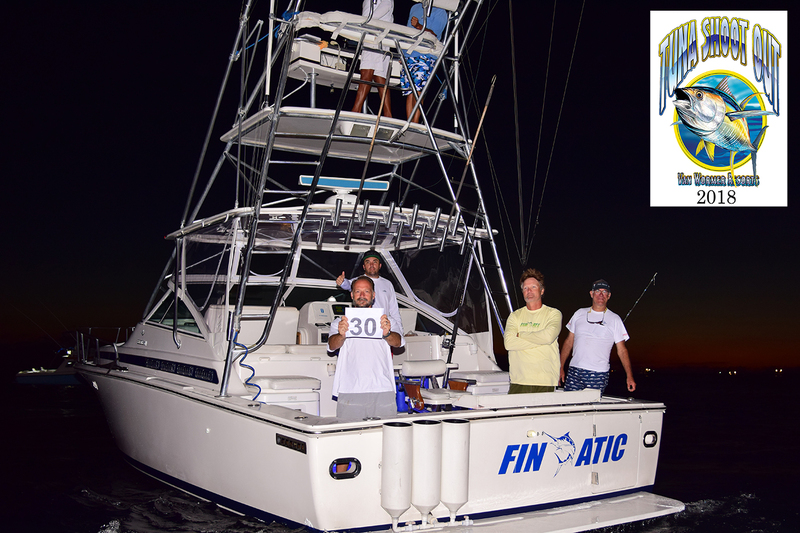 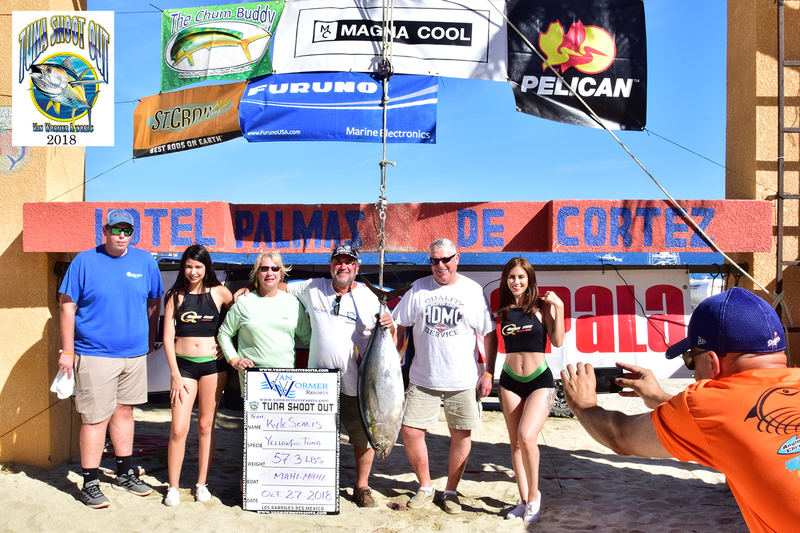 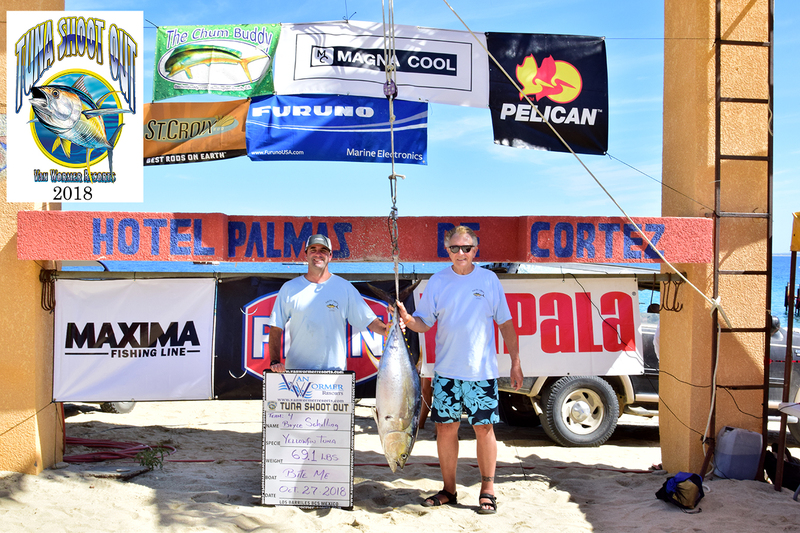 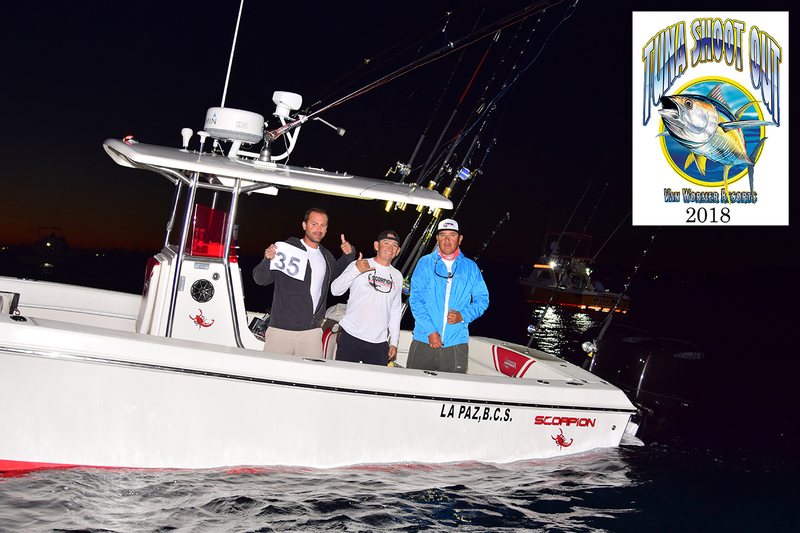 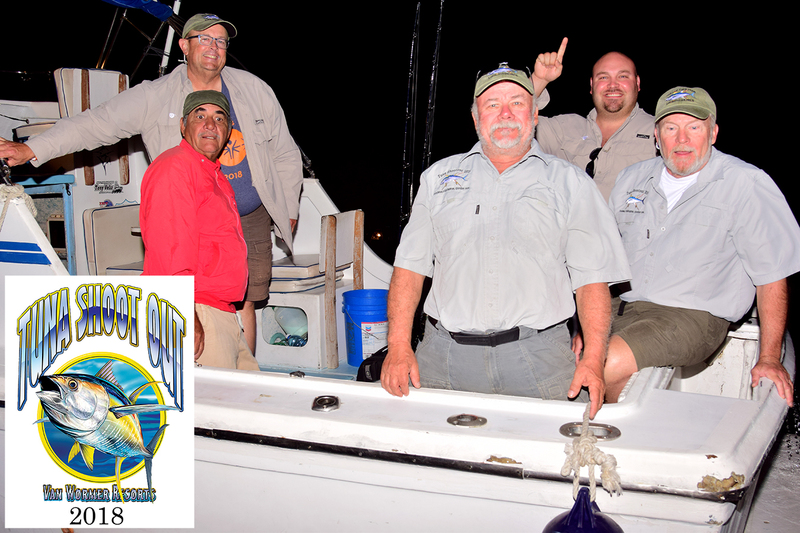 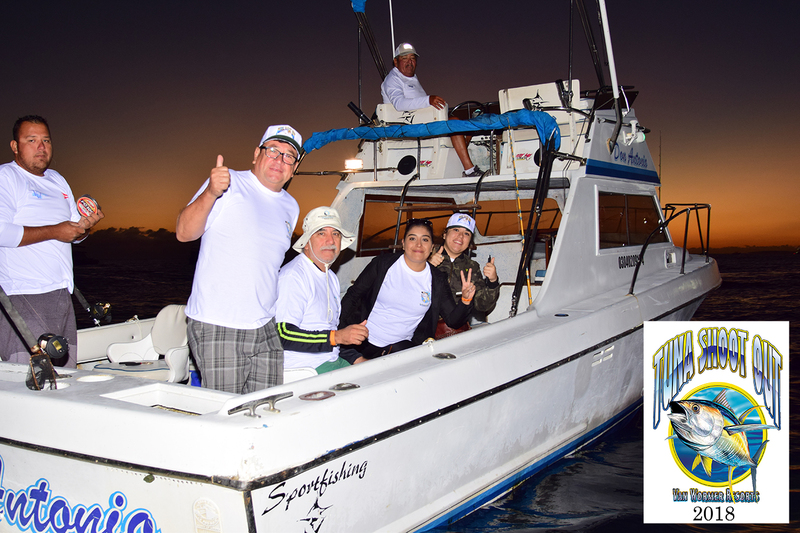 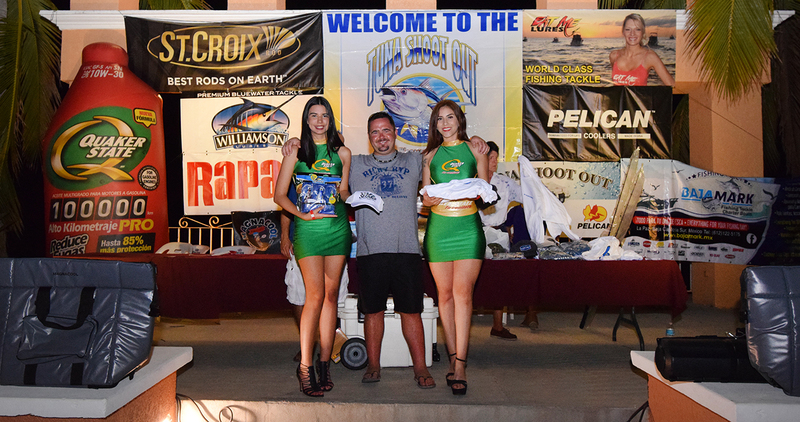 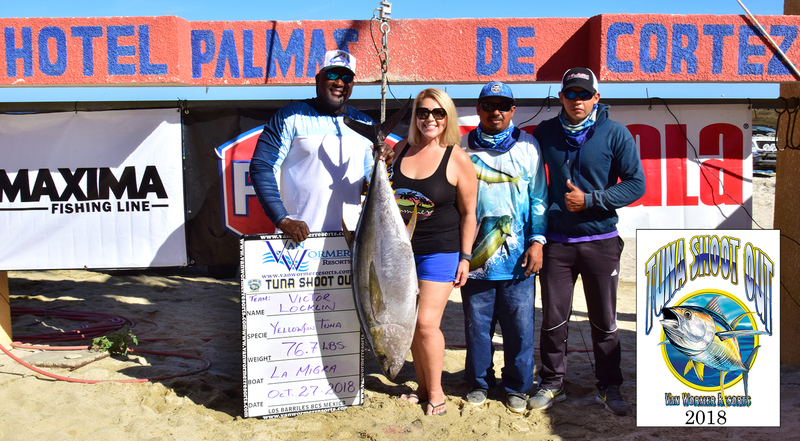 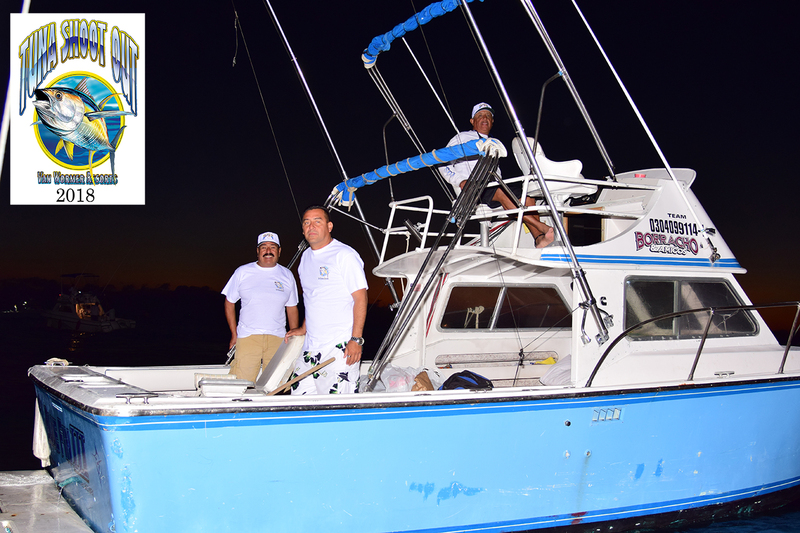 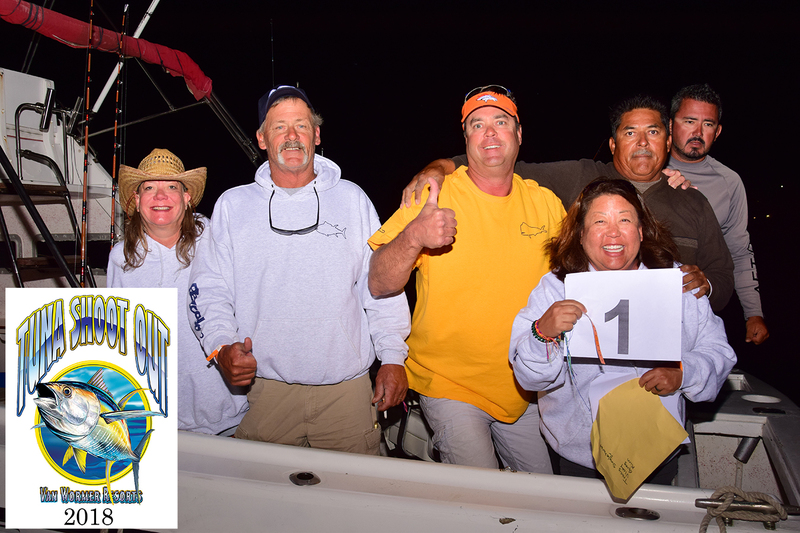 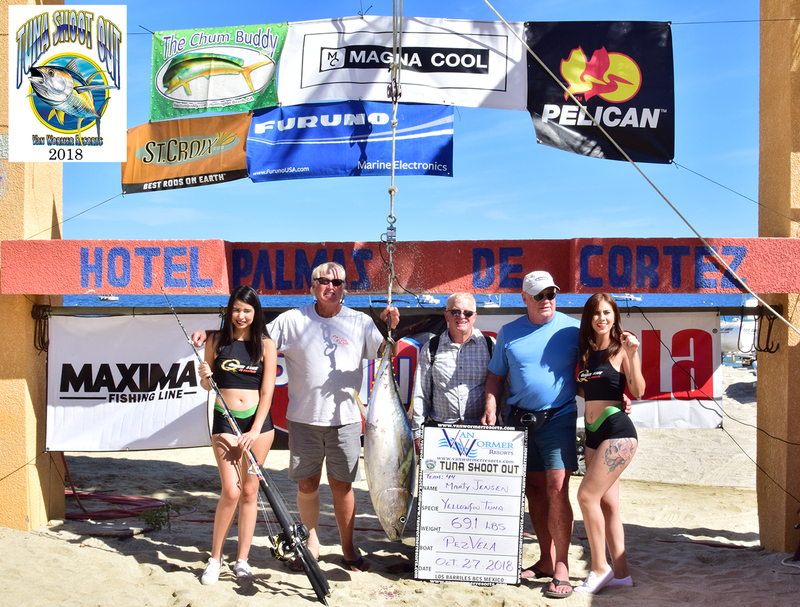 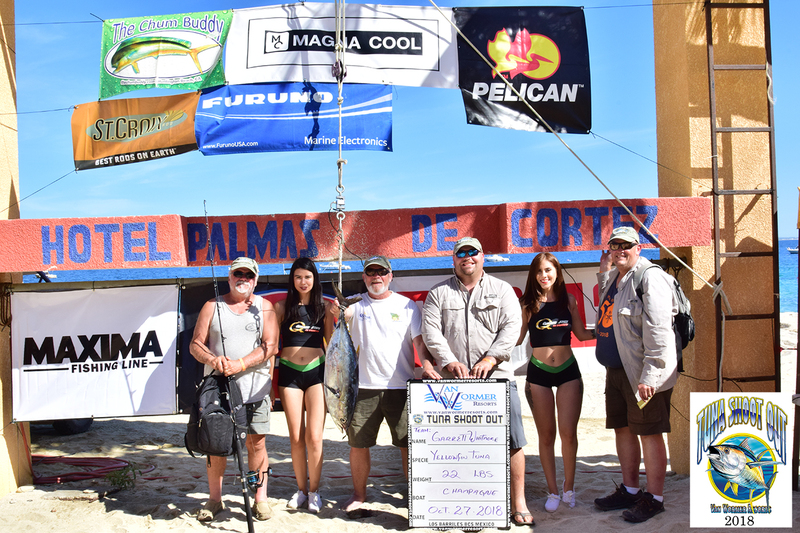 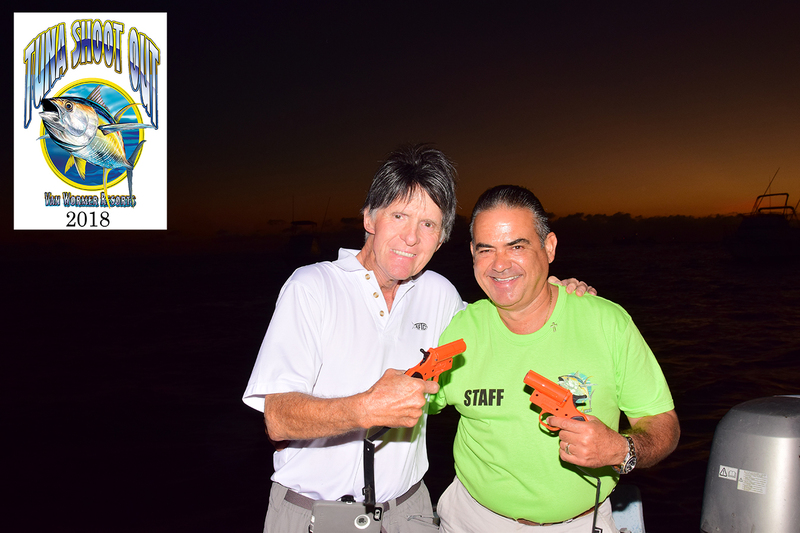 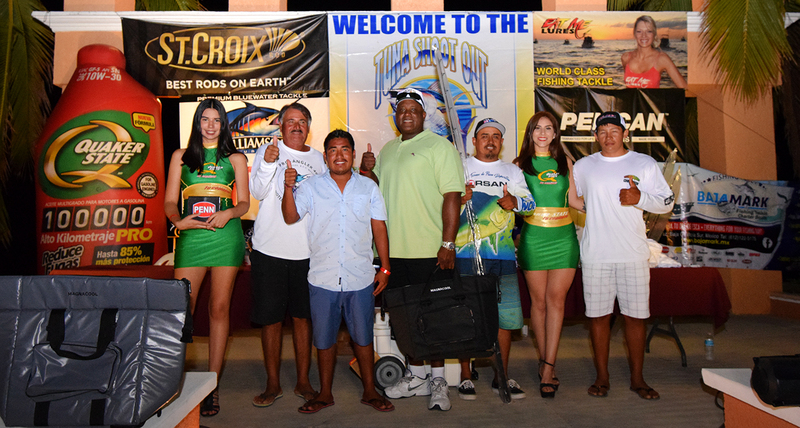 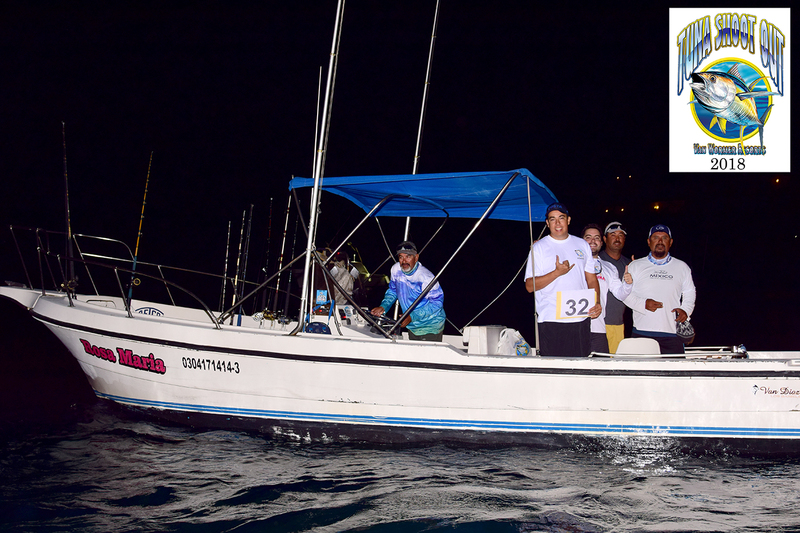 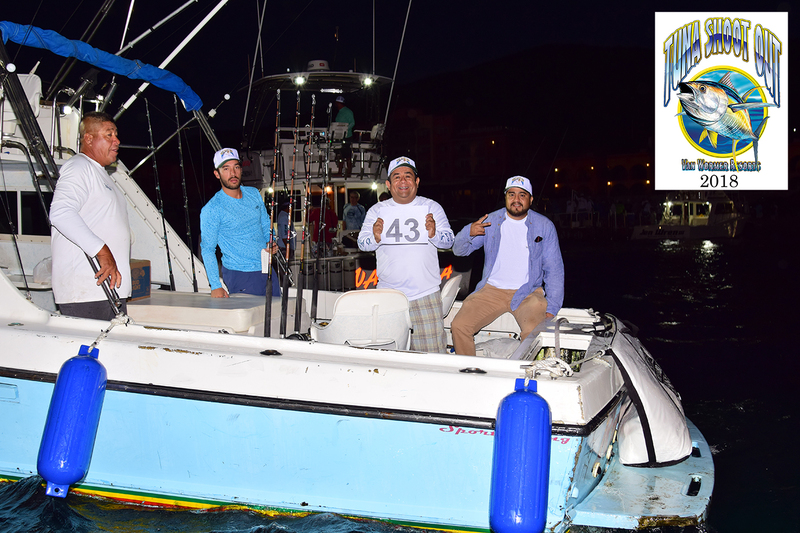 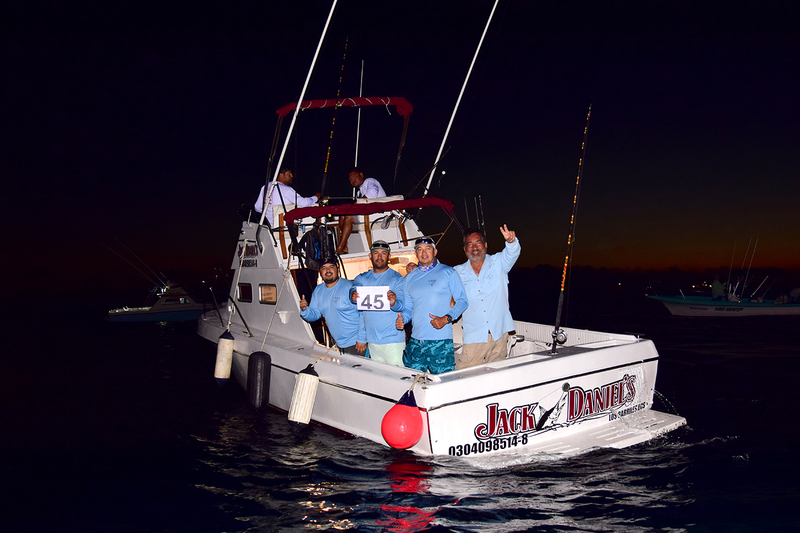 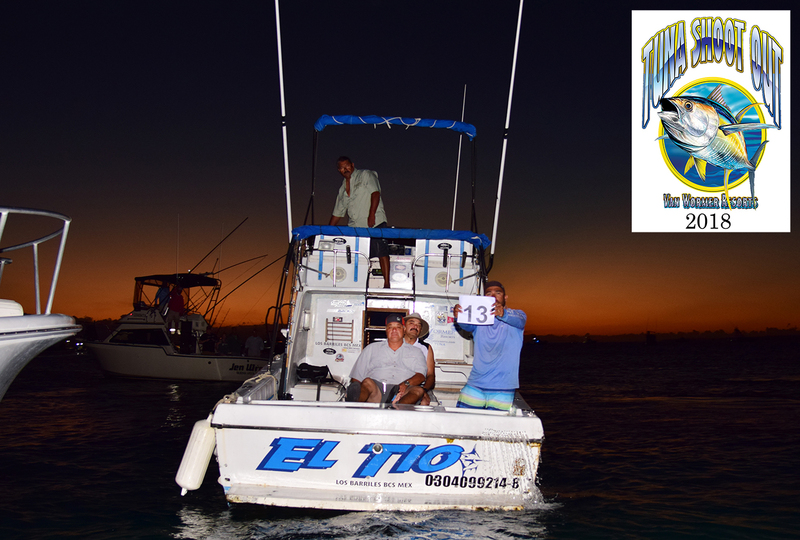 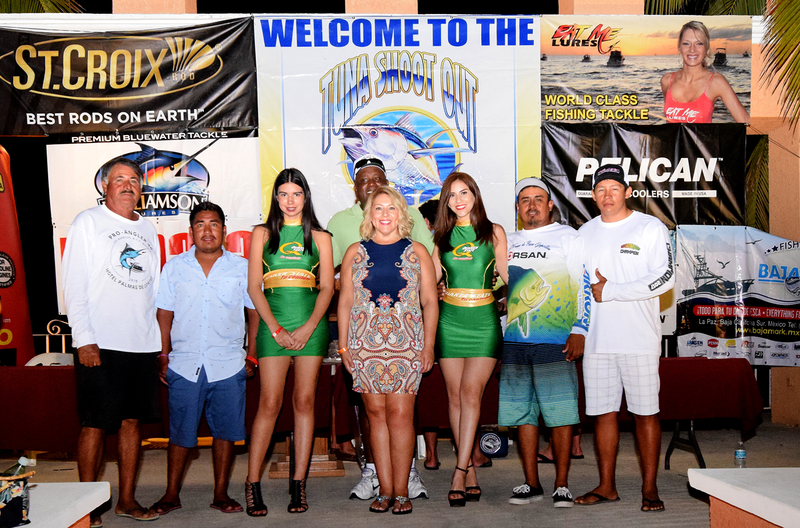 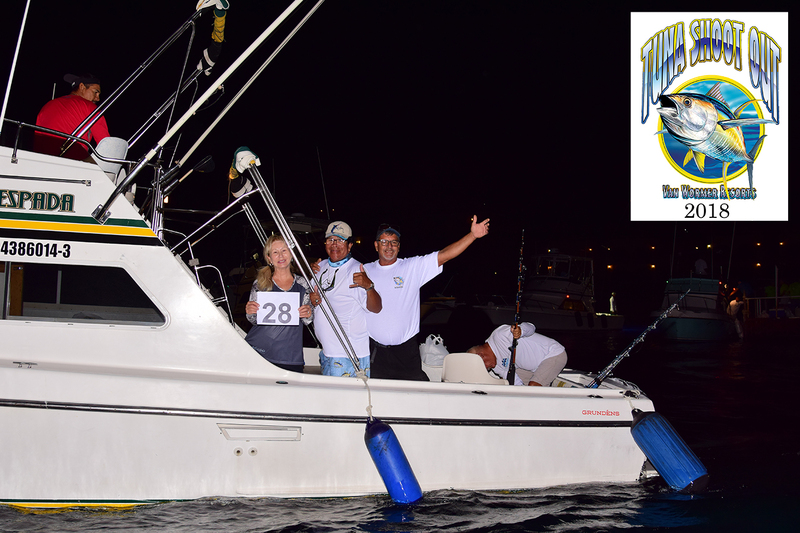 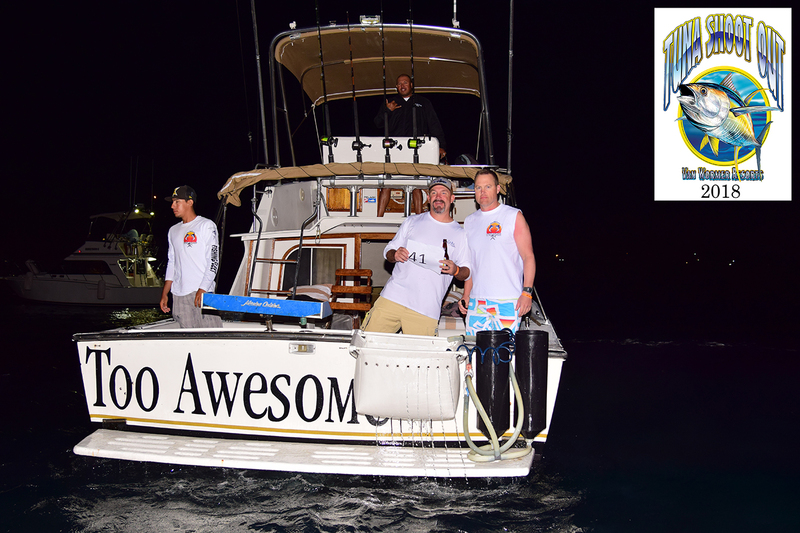 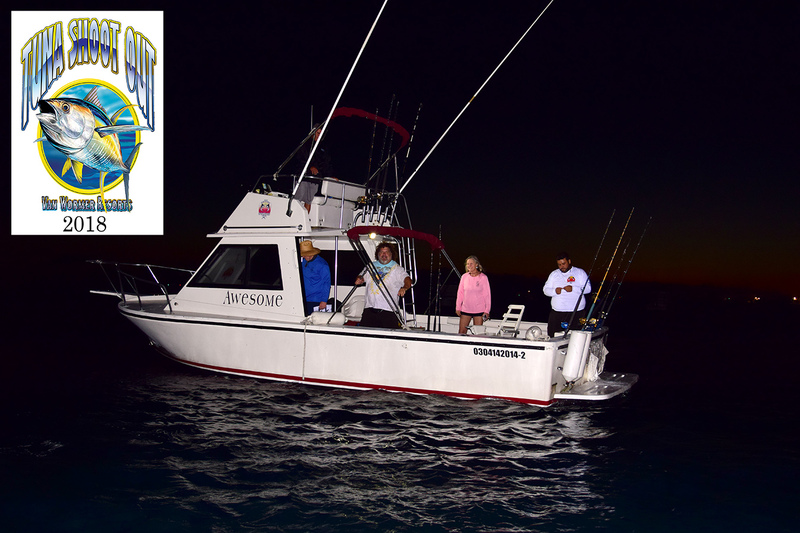 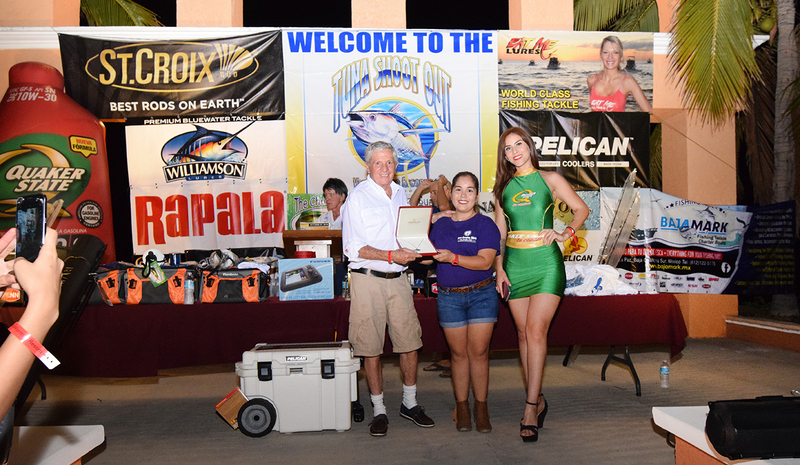 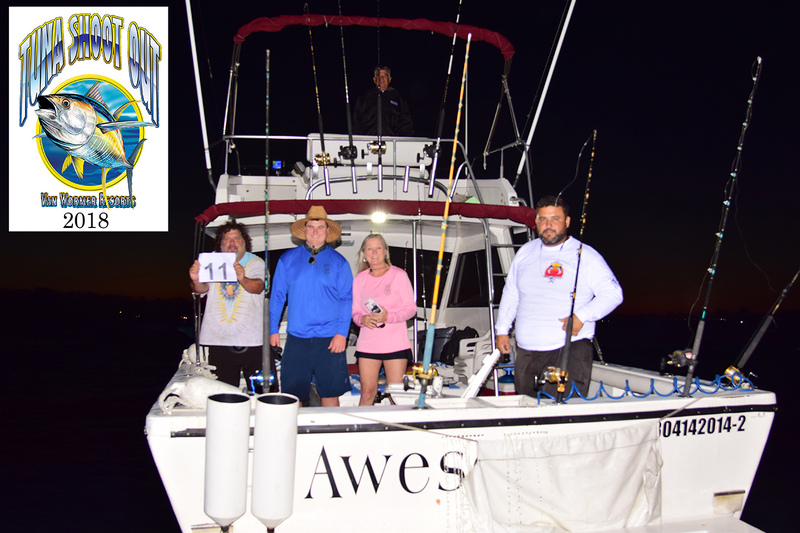 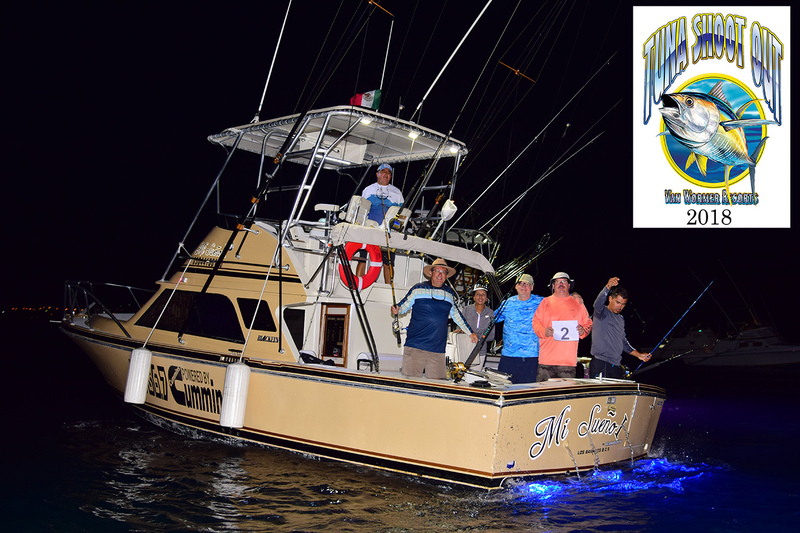 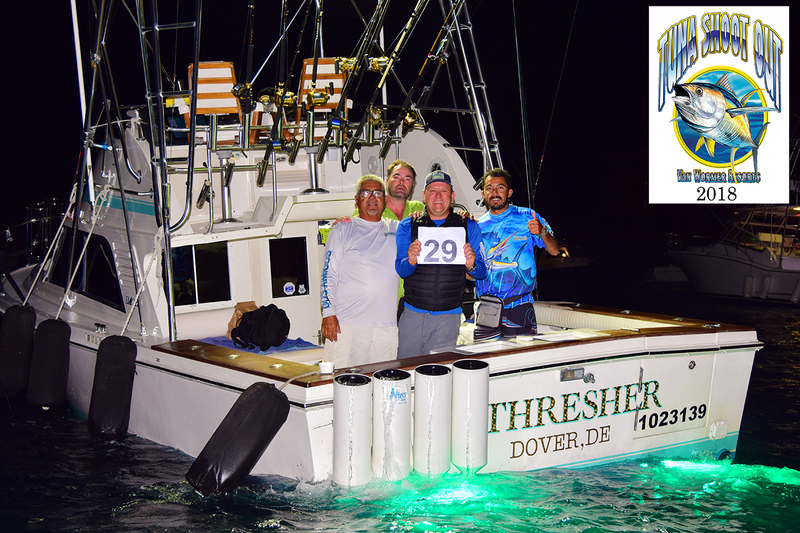 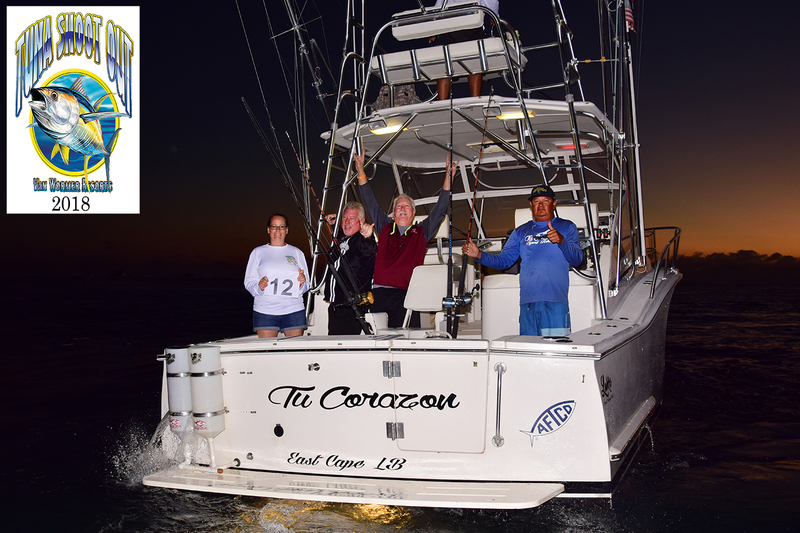 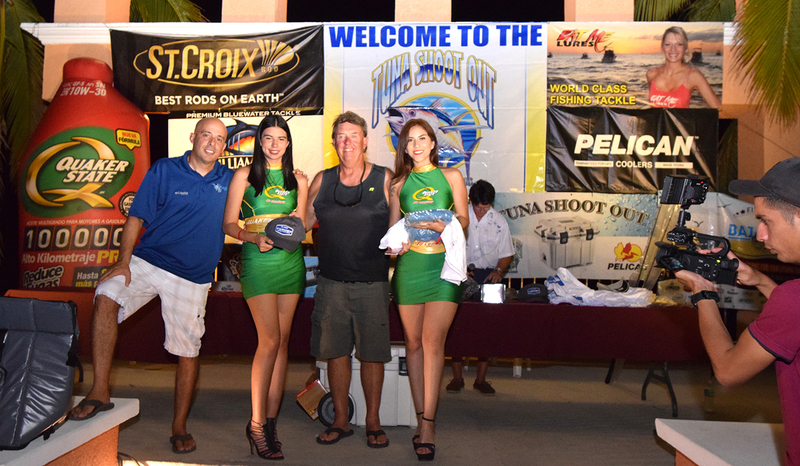 Teams can register for the 2019 Tuna Shoot Out in La Paz or in Puerto Los Cabos. 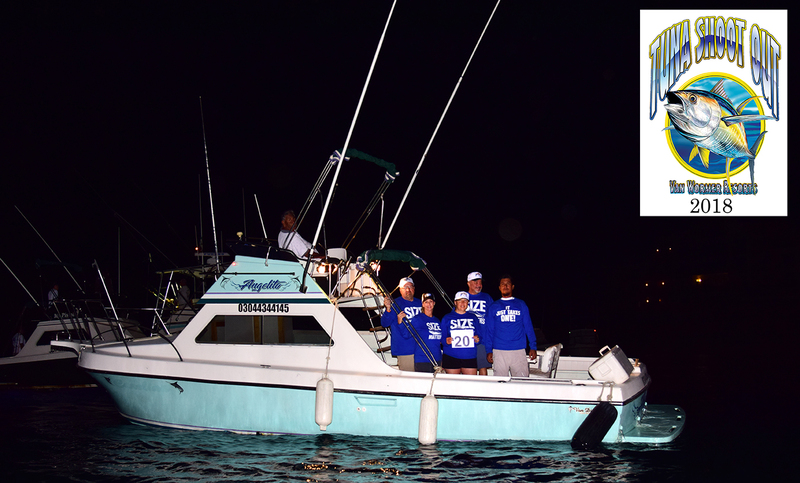 This means teams do not have to drive to the East Cape to register for the tournament. 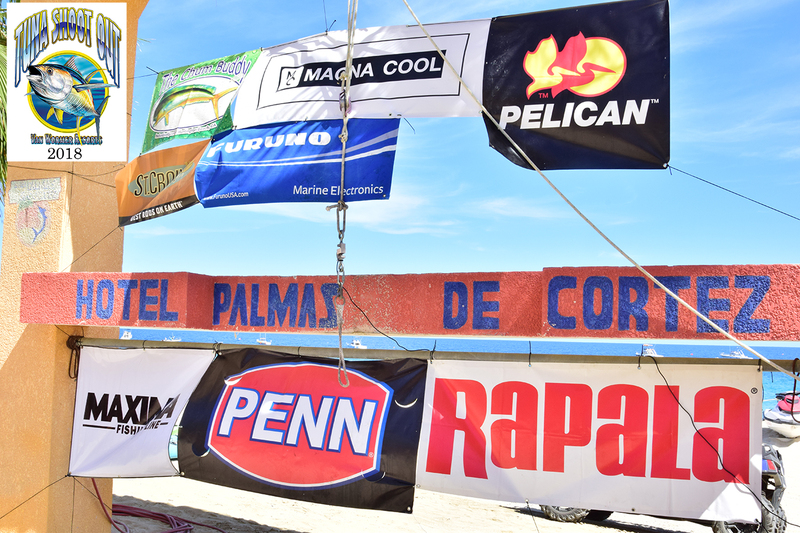 Registration in La Paz will be held at BajaMark from 6pm-8pm on Tuesday, October 15th. 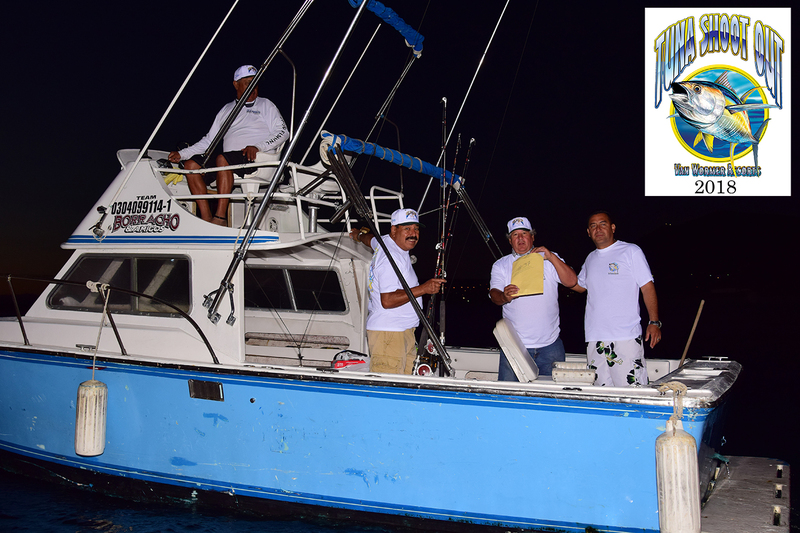 There will be a Fishing Seminar conducted by Capt. 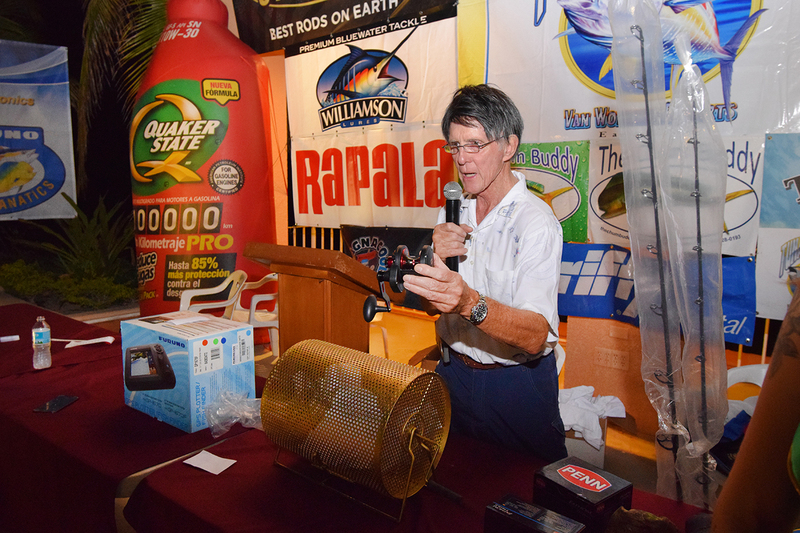 Kit McNear along with the tournament registration. 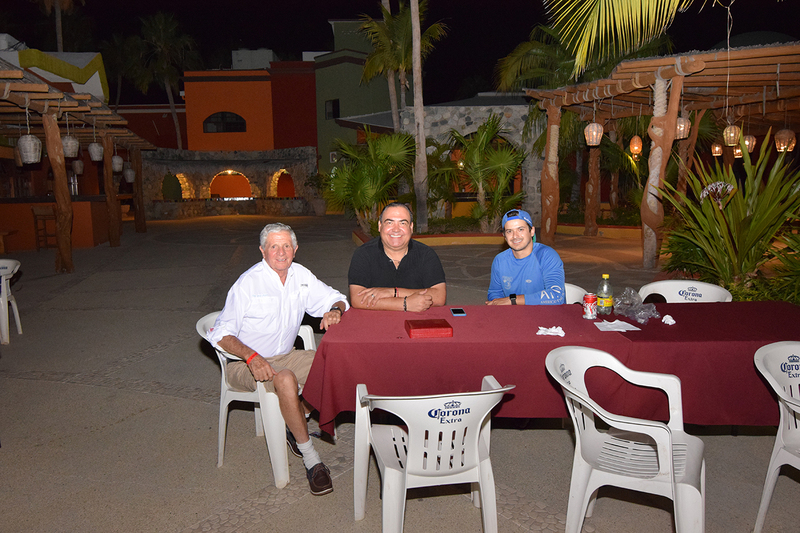 BajaMark is located at Allende 165 entre revolucion y Madero, 23000 La Paz. 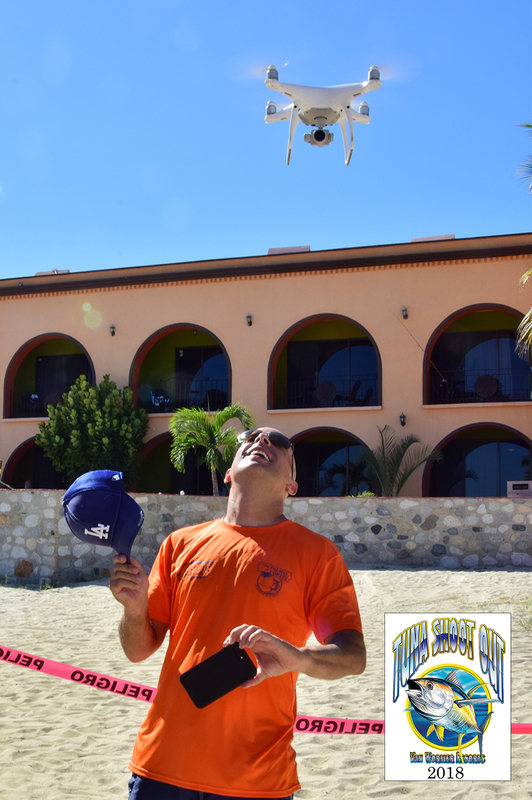 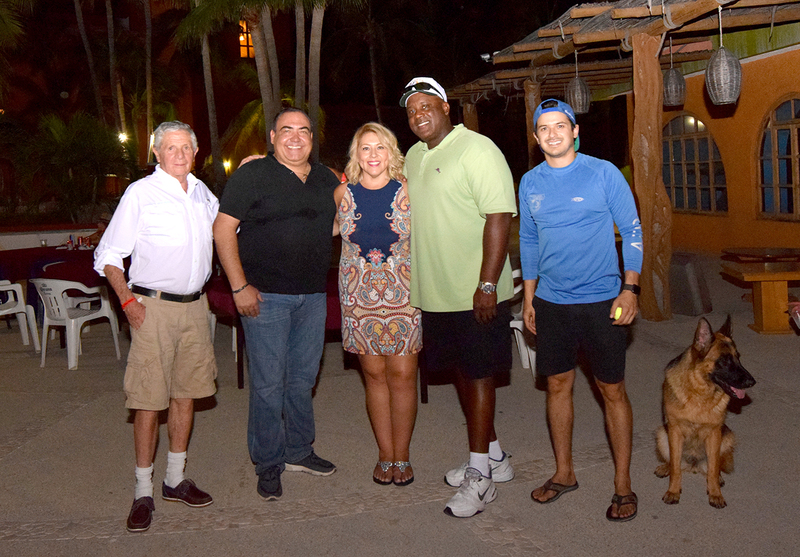 Registration in Puerto Los Cabos will be held at La Playita from 6pm-8pm on Thurday, October 17th. 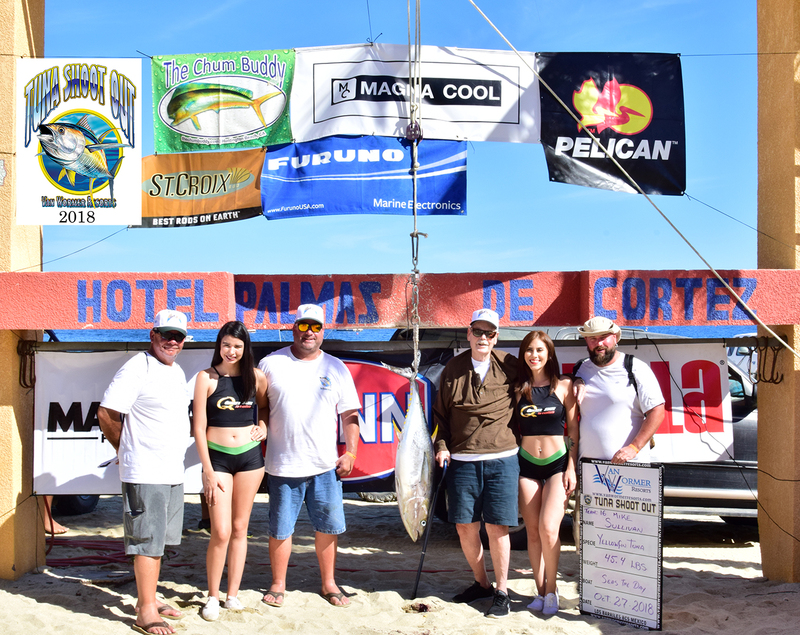 Registration in the East Cape will be on Friday, October 25th from 4pm-8pm at Hotel Palmas De Cortez in the Convention Center. 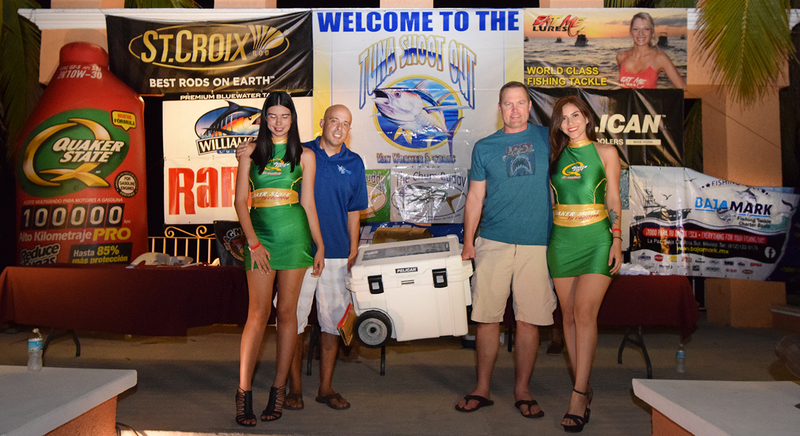 Teams can pay by cash or credit card for entry and jackpots. 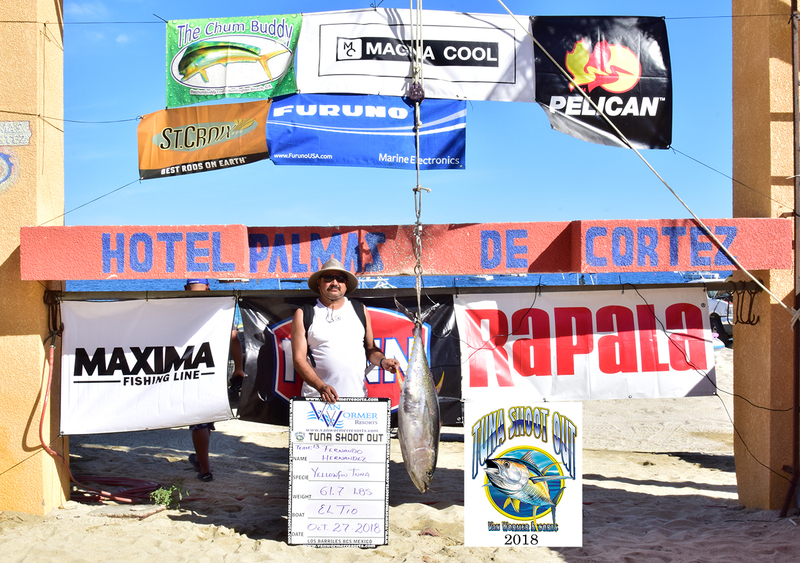 All teams must start the tournament from in front of Hotel Palmas De Cortez Saturday Morning, October 26, 2019 at 7:00am. 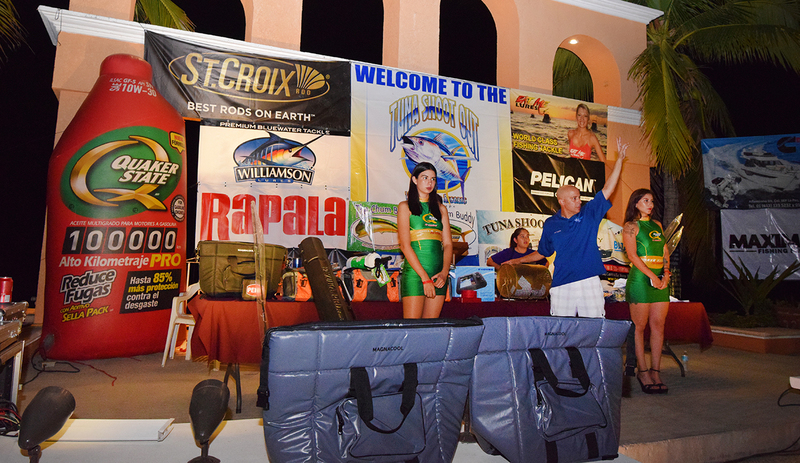 All teams must check in with tournament control prior to leaving the starting area. 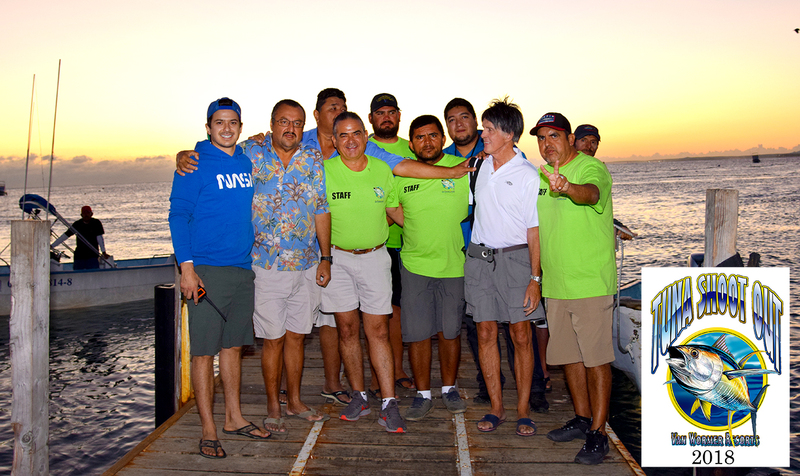 *Security will be on duty from Friday the 25th starting at 7pm until Saturday morning at 6 am for all boats anchored in front of Hotel Palmas De Cortez. 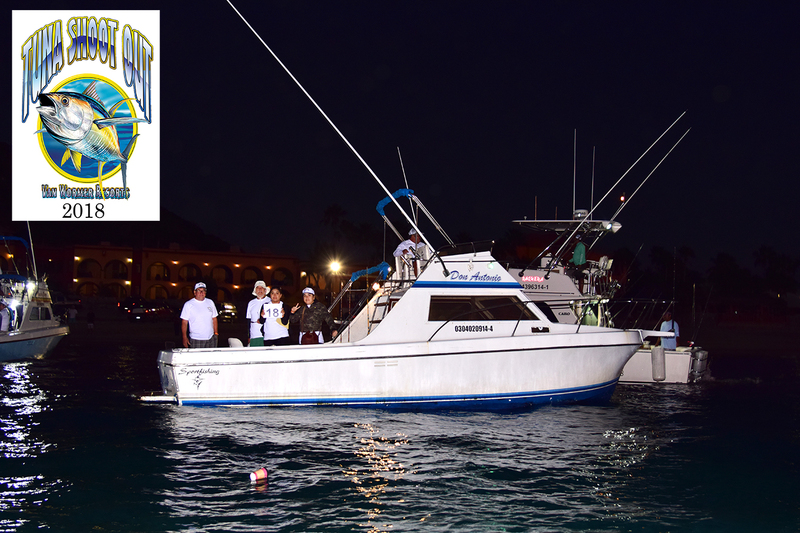 Also panga shore boat service until 8pm on Friday night. 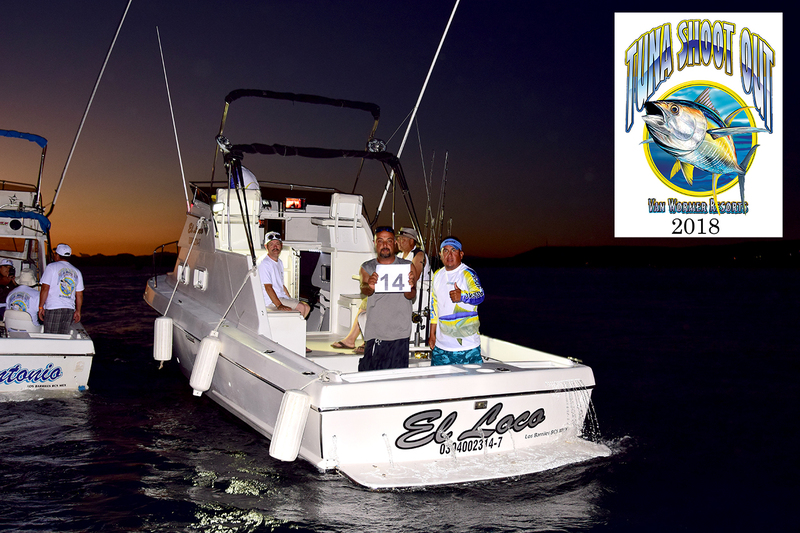 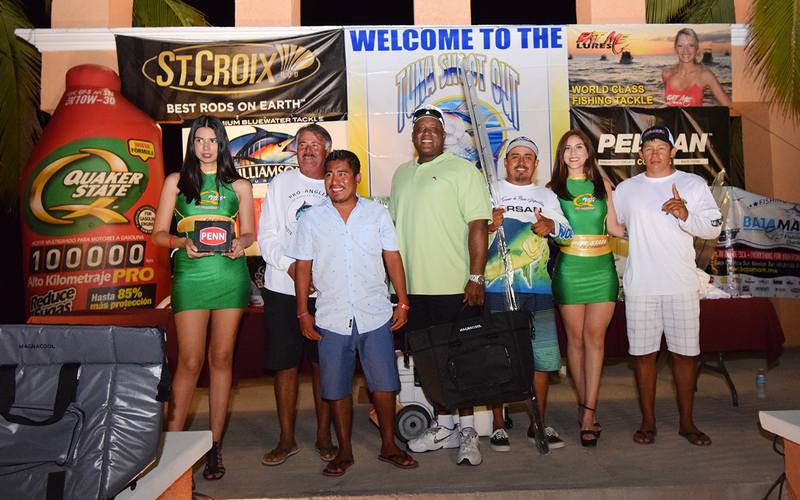 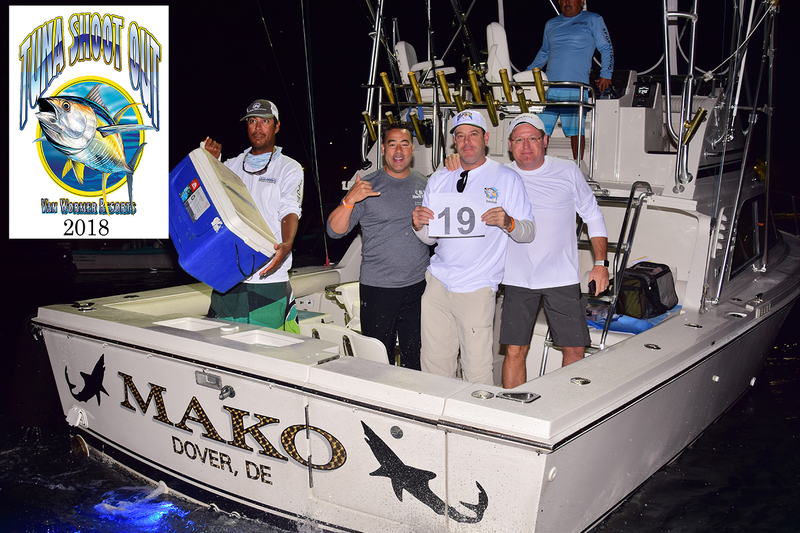 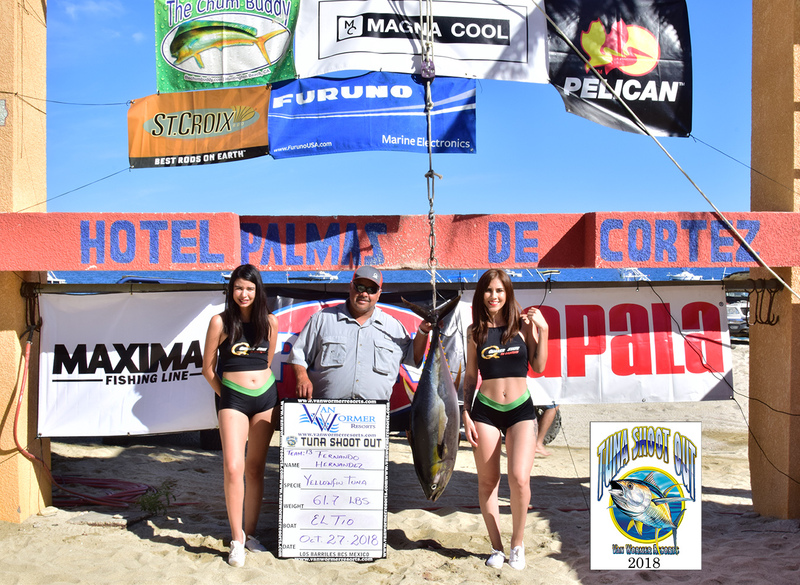 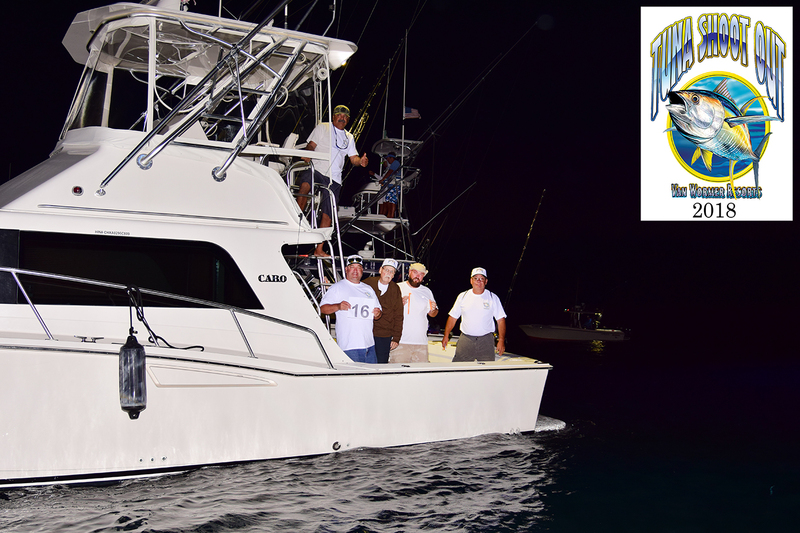 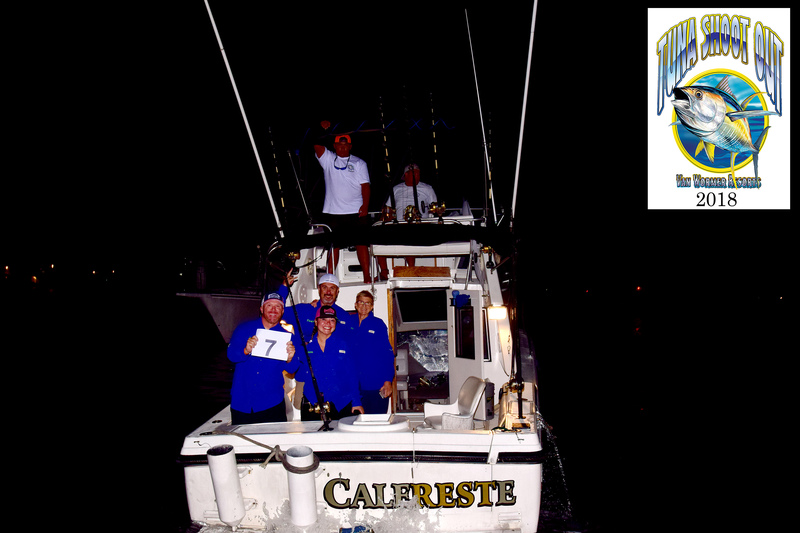 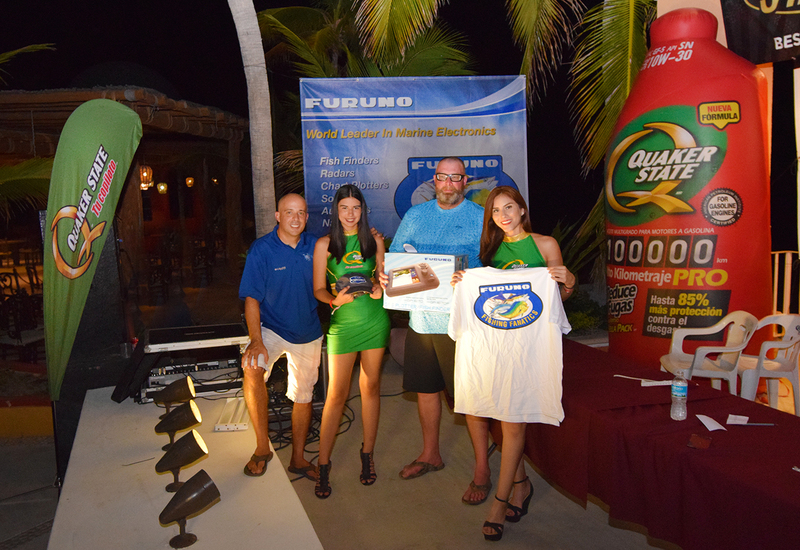 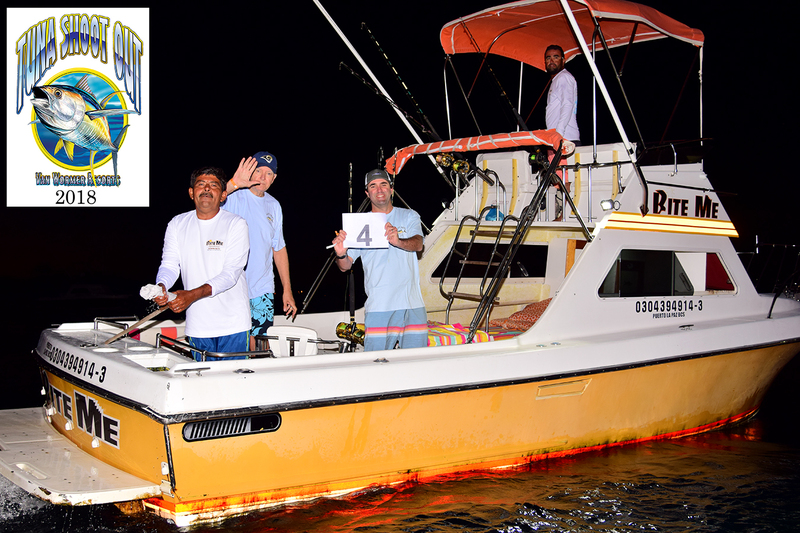 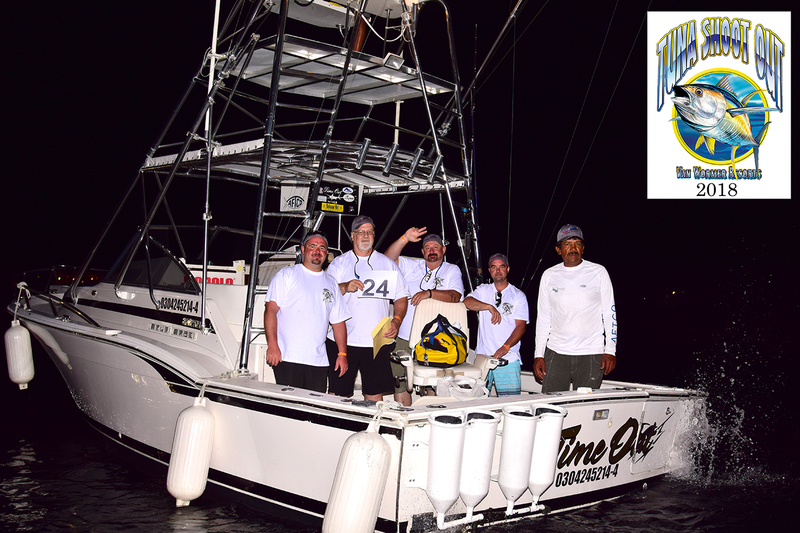 Teams can register for the Tuna Shoot Out Tournament in La Paz at BajaMark from 6pm-8pm. 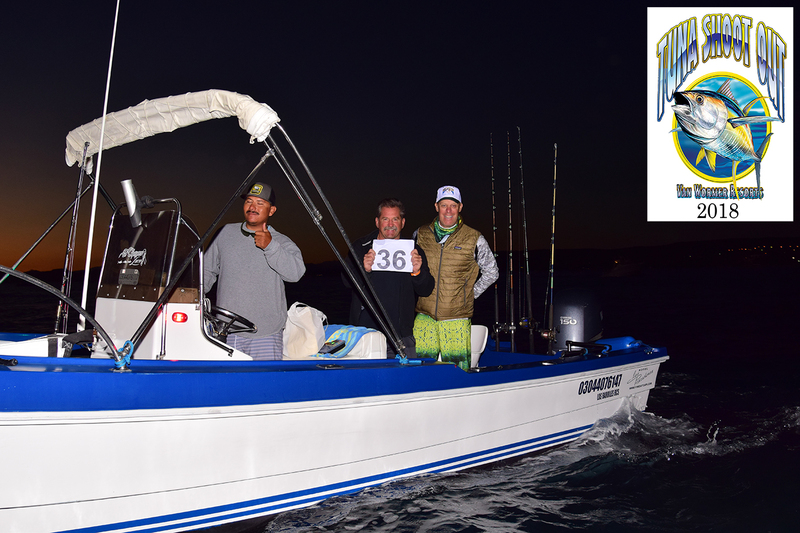 Teams wiil be given their wristbands, rules and goodie bags, so there is no need to drive to the East Cape on October 26th. 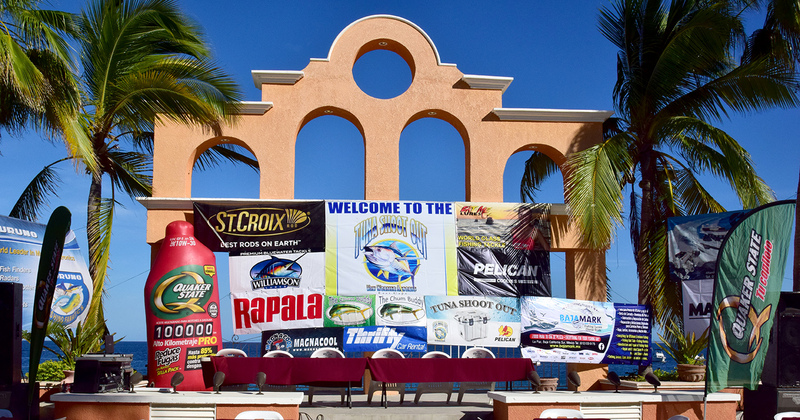 If you are not prepaid prior to arrival, we will only accept cash at registration. 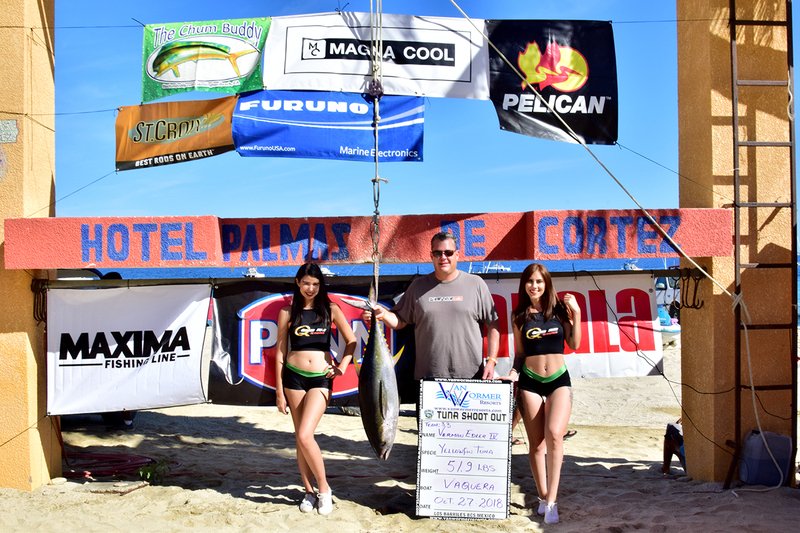 Teams can check in and register for the Tuna Shoot Out Tournament in Puerto Los Cabos at La Playita from 6pm-8pm. 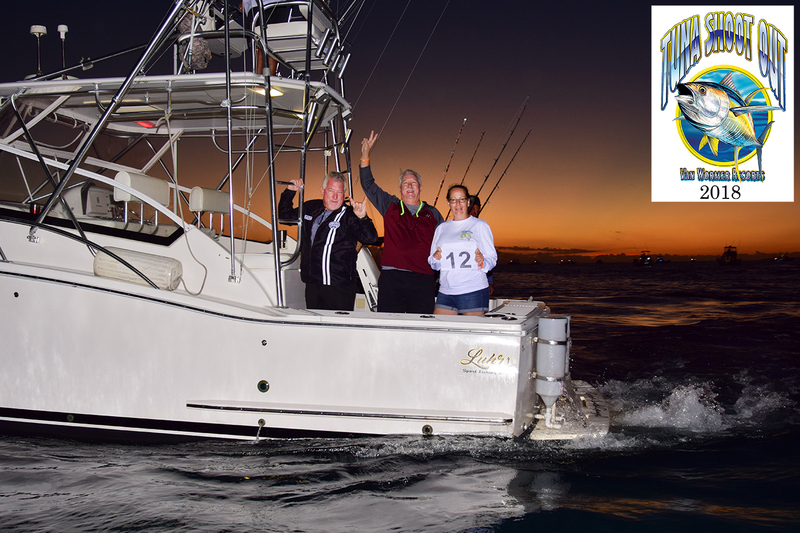 Teams wiil be given their wristbands, rules and goodie bags, so there is no need to drive to the East Cape on October 26th. 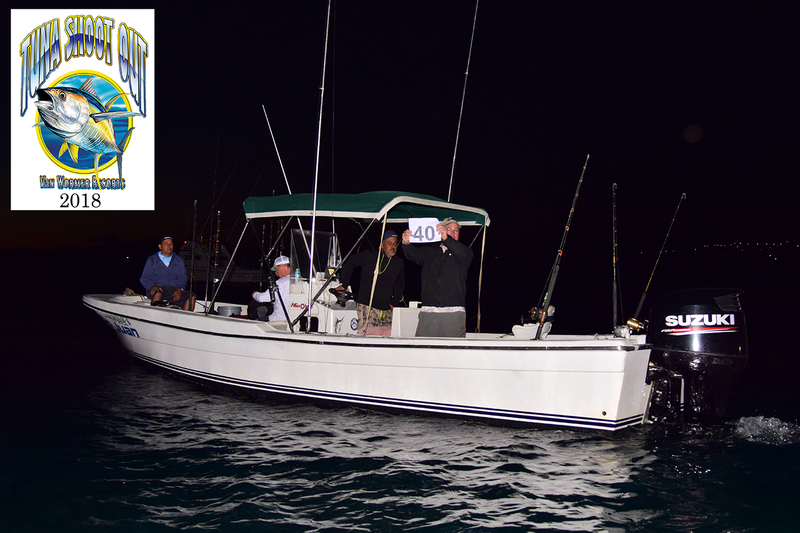 If you are not prepaid prior to arrival, we will only accept cash at registration. 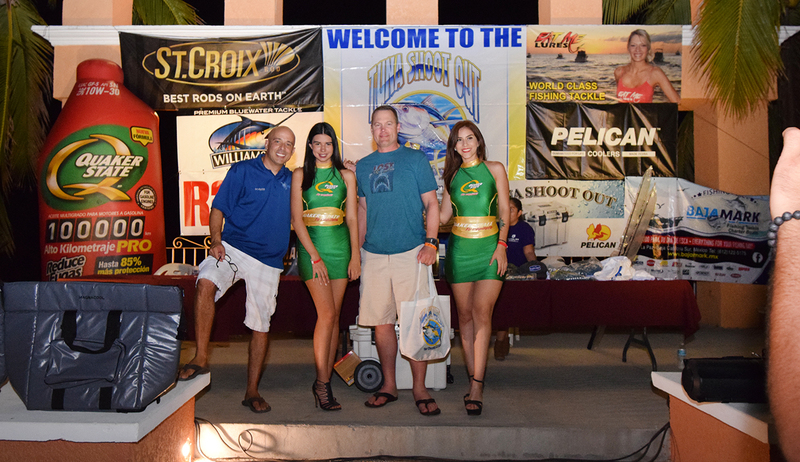 Teams can check in and register from 4pm-8pm at Hotel Palmas De Cortez. 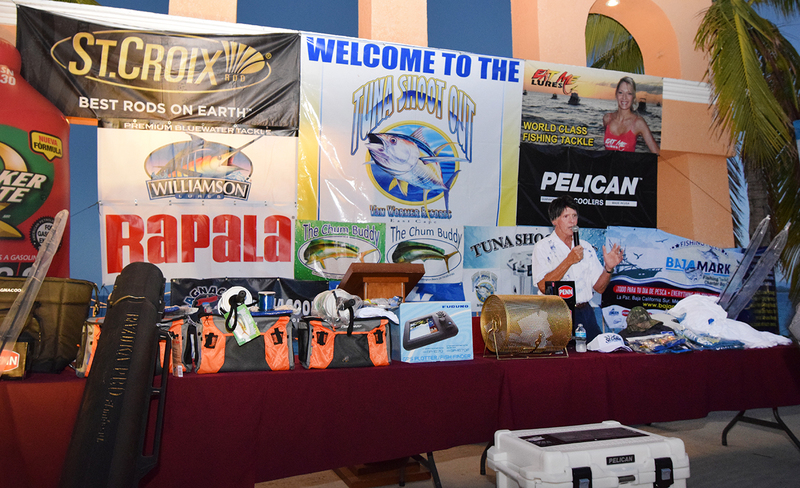 All teams participating in the Tuna Shoot Out MUST check in and pick up their wristbands,rules and goodie bags. 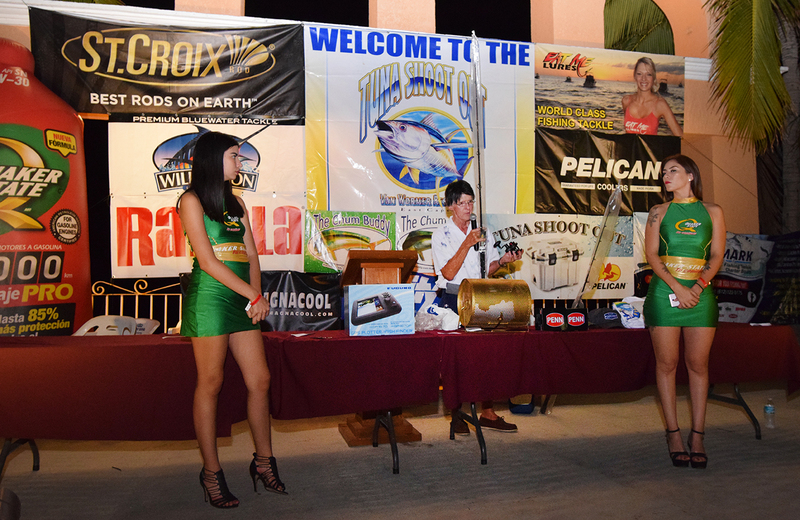 No team will be permitted to weigh a fish without having checked in prior to the start of the tournament. 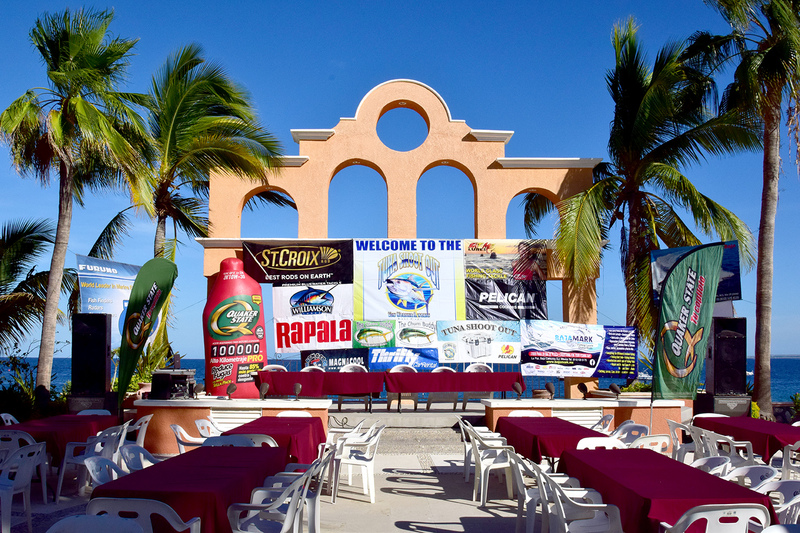 If you are not prepaid prior to arrival, we will only accept cash, visa or mastercard at registration. 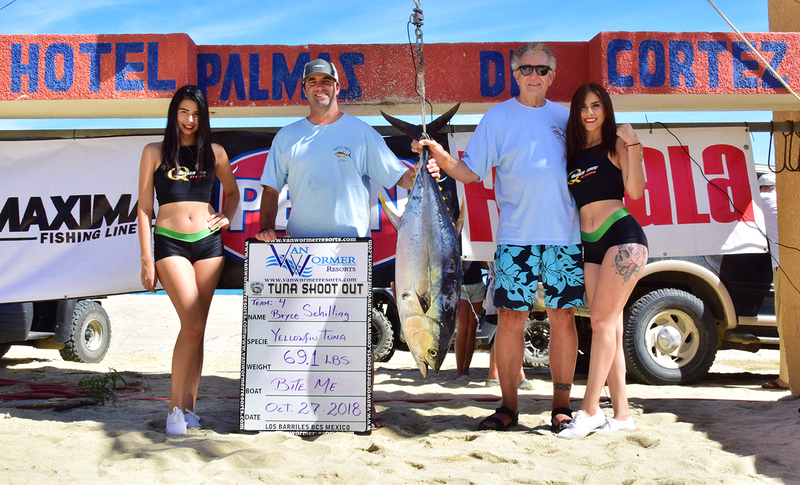 At 7am the Tuna Shoot Out will begin with a flare start. 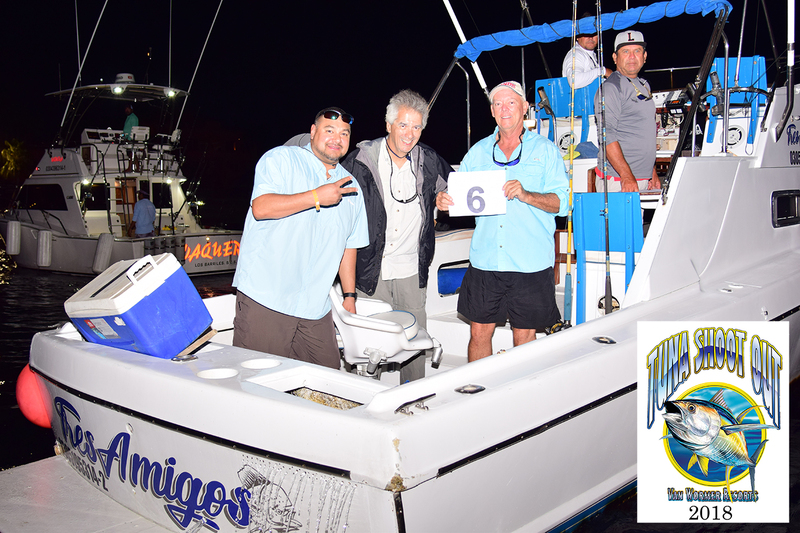 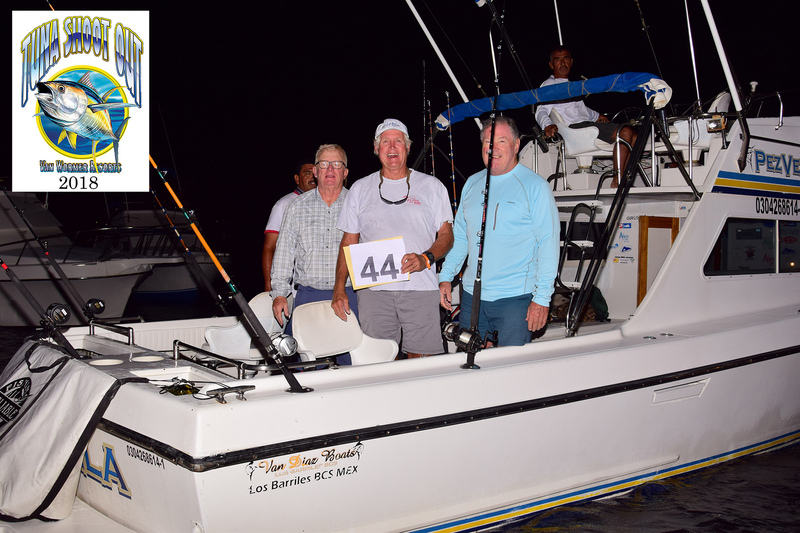 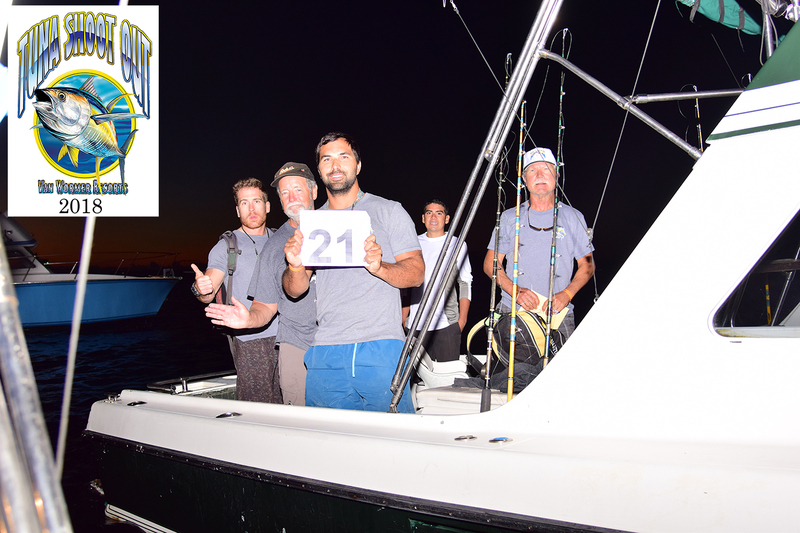 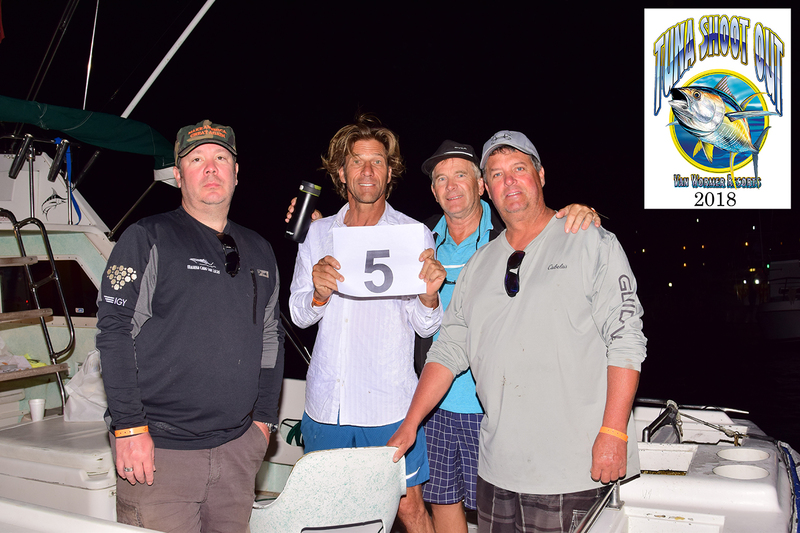 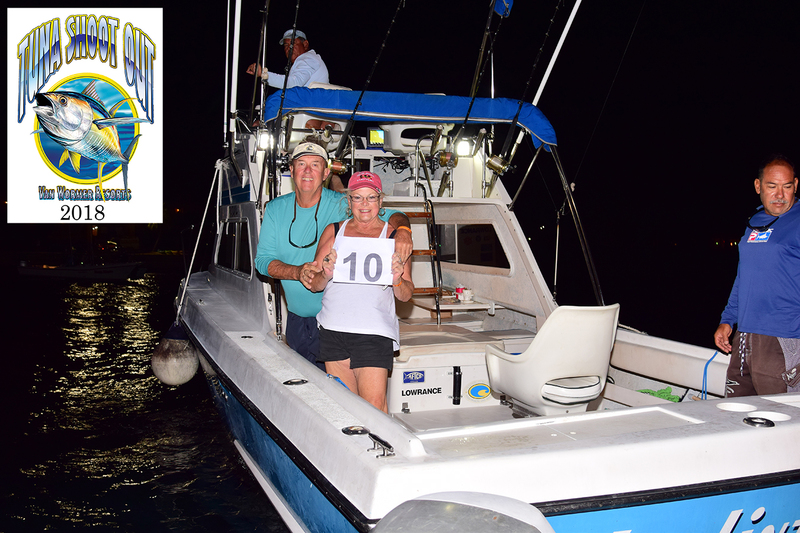 Teams must check in with the tournament boat and show their team number before the start of the tournament. 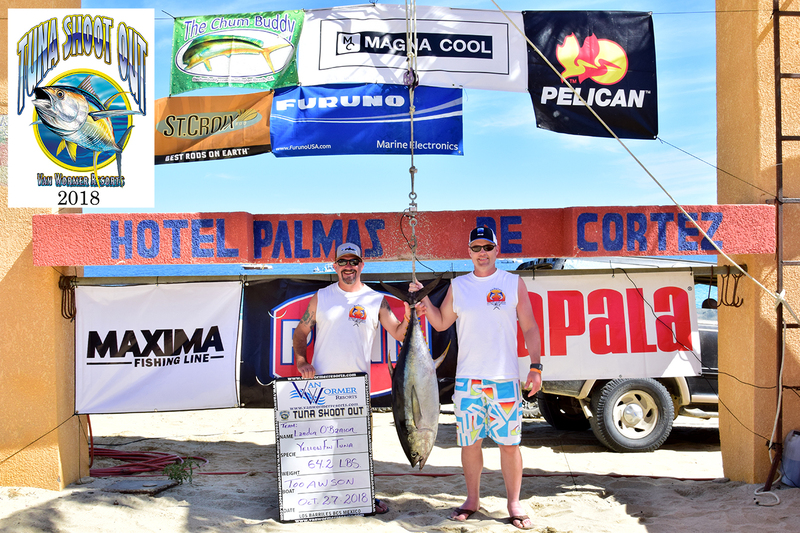 Scale will open at 1pm at Hotel Palmas De Cortez. 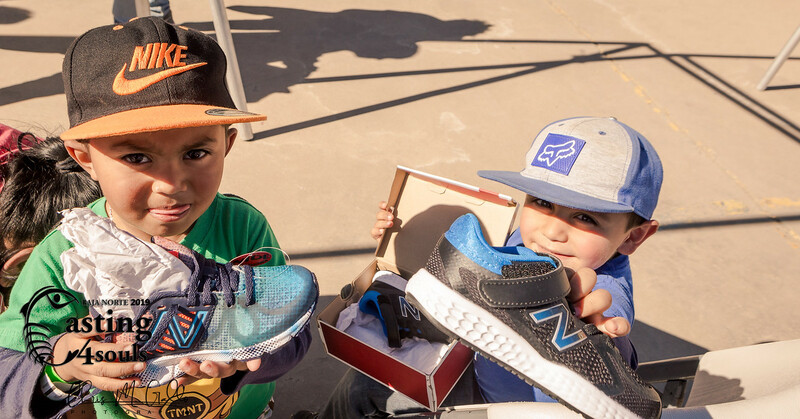 Scale will close at exactly 4pm. 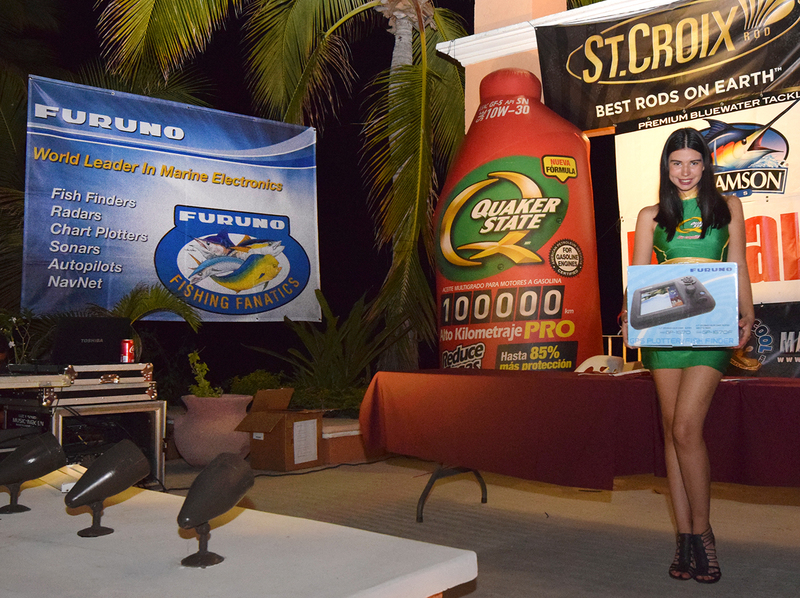 Award ceremony will begin at approximately 7pm at Hotel Palmas De Cortez.